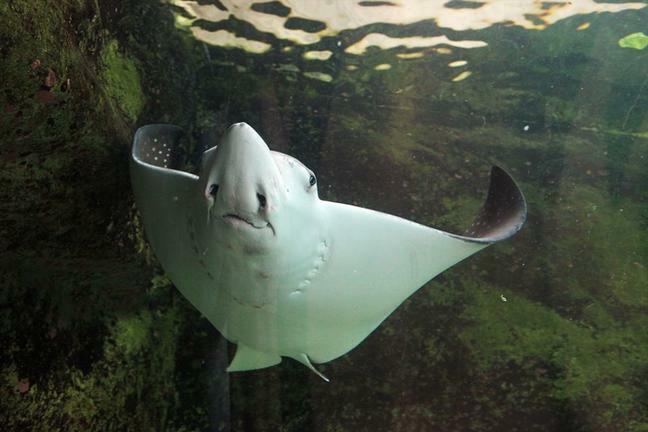 Sea Life Sydney Aquarium located in Darling Harbor, is a popular Sydney attraction for the family. 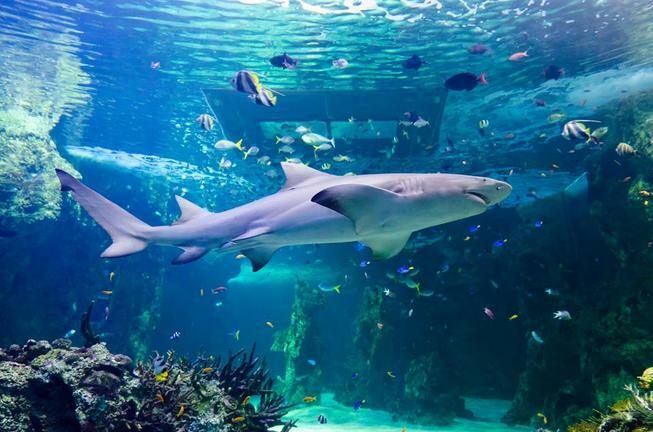 Situated on the city side of Darling Harbor, Sea Life Sydney Aquarium houses over 12000 animals from 650 species, including sharks, dugongs, turtles, stingrays, penguins, platypuses and tropical fish. 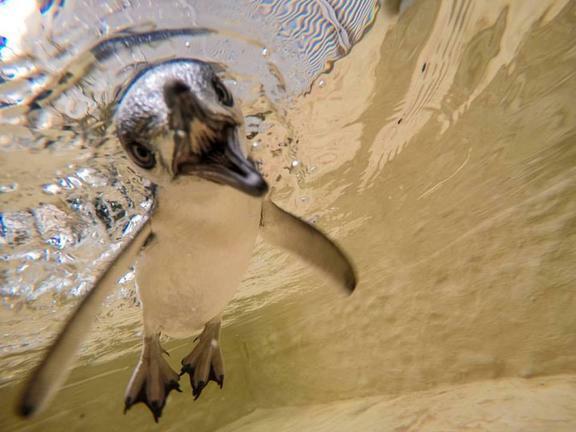 As a leading family and tourist attraction in Sydney, Sea Life Sydney Aquarium offers entertainment for both the young and the old. 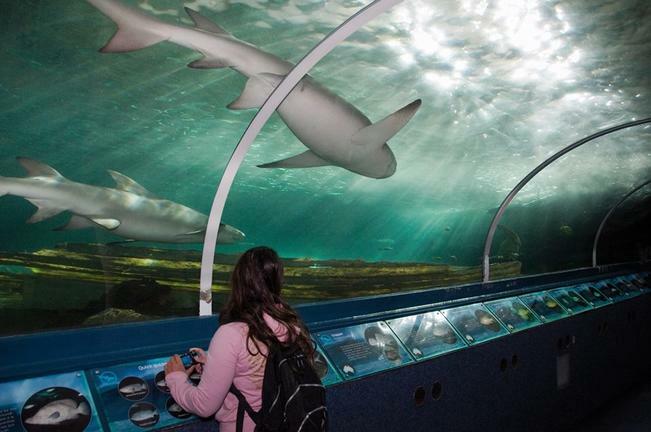 Walk underwater through over 100 meters of glass viewing tunnels and see Australia's marine life. 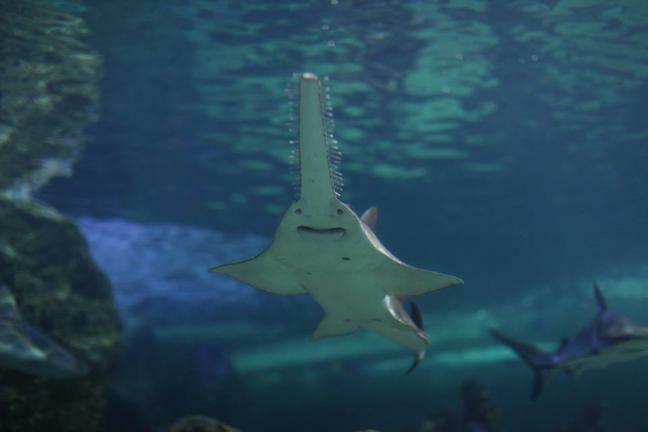 Get within inches of huge sharks, rays and turtles and see some of the remarkable marine and freshwater animals that Australia is known for. 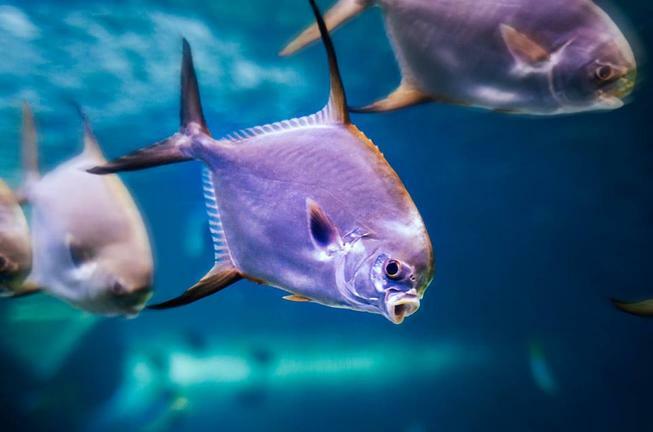 As visitors walk around Sea Life Sydney Aquarium they will be taken on a journey through Australia's wide and varied aquatic habitats, from the southern river systems that make up the Murray Darling Basin to the colossal Great Barrier Reef in the north. 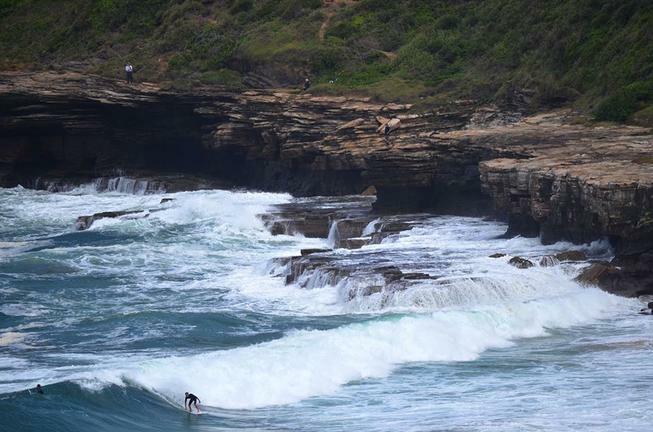 Manly Beach, one of Australia’s most famous surfing beaches and an Australian landmark, is host to the Australian Open Surfing Championships which are held annually in February. 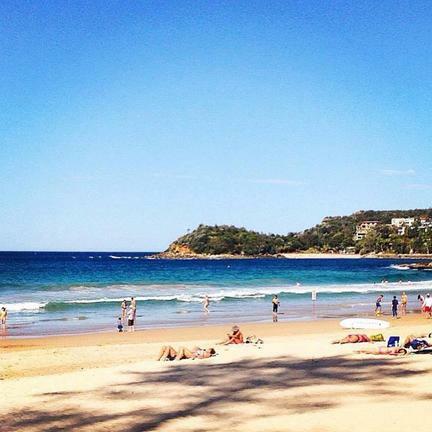 With its tree-lined promenade and long stretch of fine soft sand, the beach is also a popular destination for backpackers and families. 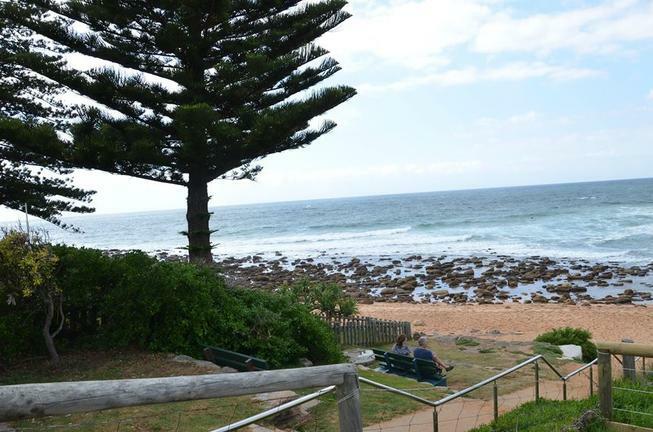 The long beachfront promenade is lined with cafés, bars, and restaurants and visitors and locals alike can enjoy the cycleways to stroll, jog, rollerblade or bike ride. 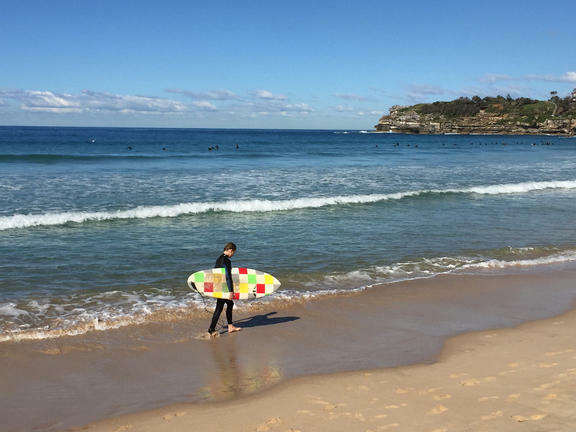 The oceanside surfing beaches and coves of Manly are perfect for active water sports such as surfing, windsurfing, parasailing, snorkelling and scuba diving. 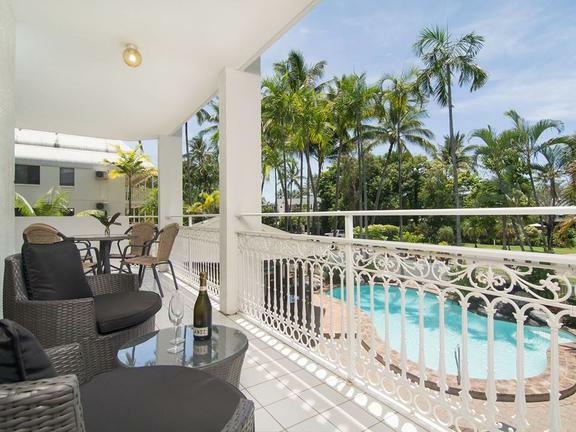 Or simply sunbathe, take a dip in one of the saltwater swimming pools or swim off the patrolled beaches. 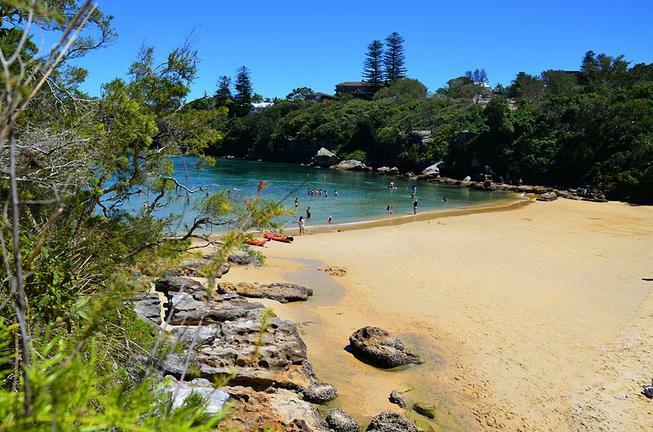 The sheltered sandy beach and gentle waves of Manly Cove on the harbour side right next to the Wharf is ideal for family picnics, sailing, fishing, building sandcastles or just relaxing in the sun. 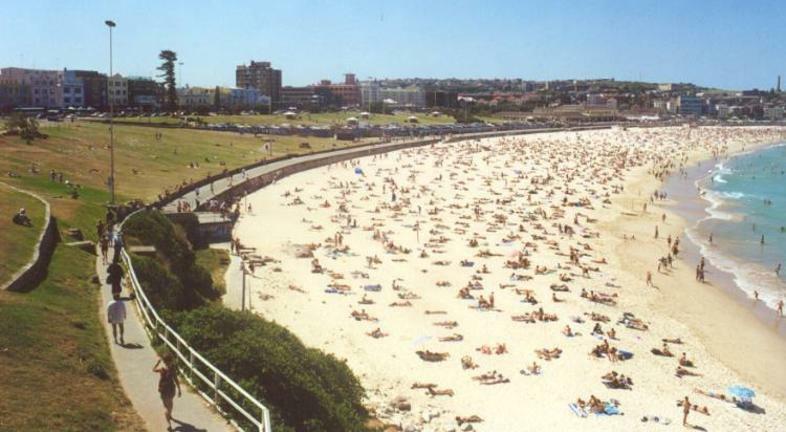 Bondi Beach is one of Australia's most famous beaches and well-known worldwide. 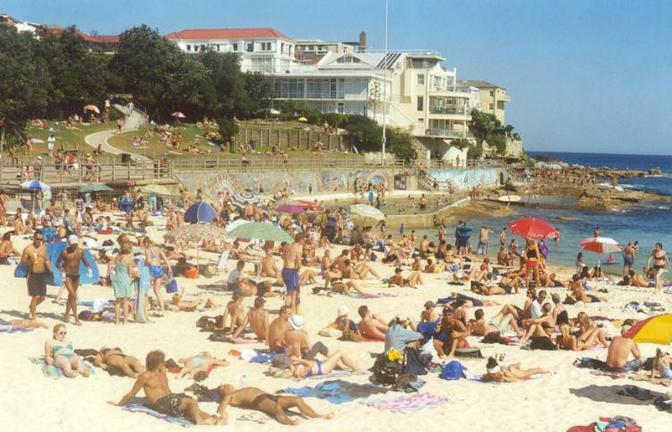 Each year tens of thousands of people, from backpackers to billionaires, take to the golden sands of this wide, one-kilometre long city beach to walk, jog, or soak up the sun. 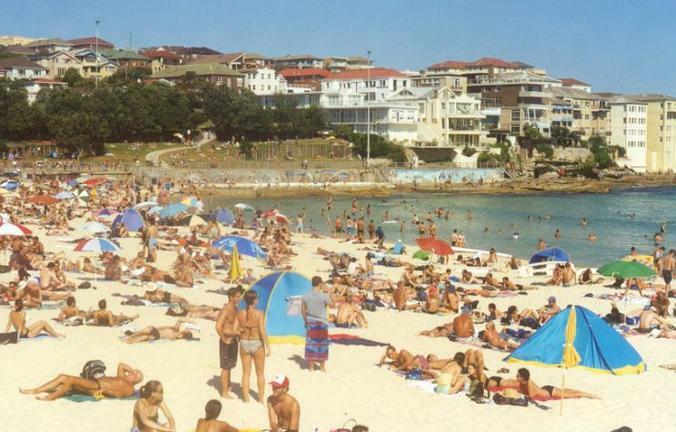 Being only 10 kilometres from the city centre, Bondi Beach is one of Sydney's busiest beaches. 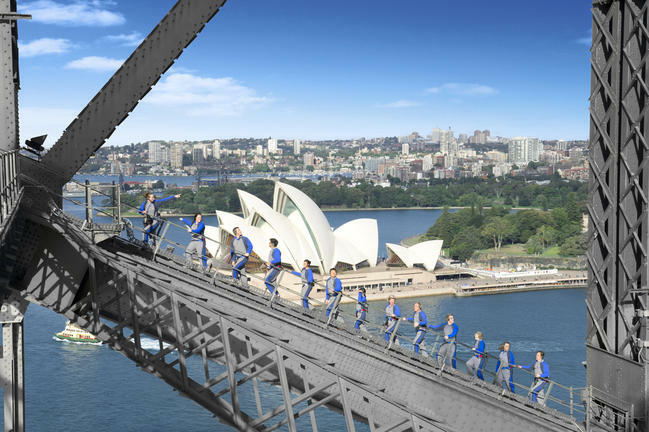 There's a host of events held here all year round from community art shows to city to surf running marathons. 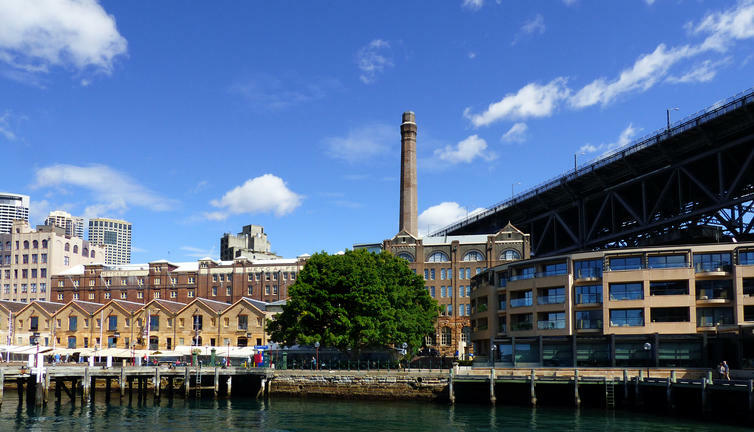 Witness the birth place of Sydney and explore the convict built cottages, pubs and the first church in Australia, in the historic Rocks precinct. 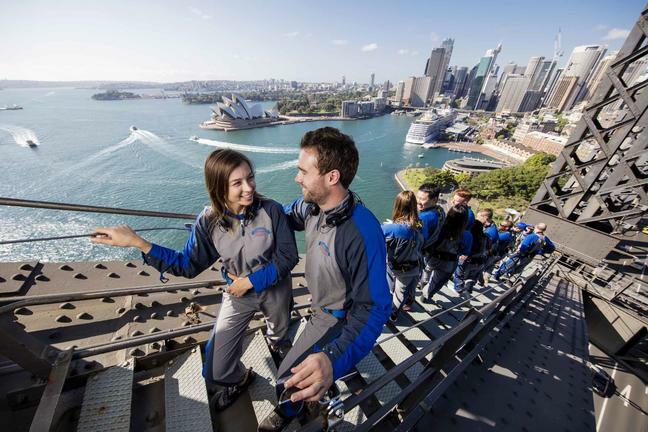 Head east, to the stunning Botanical Gardens situated in the heart of Sydney. 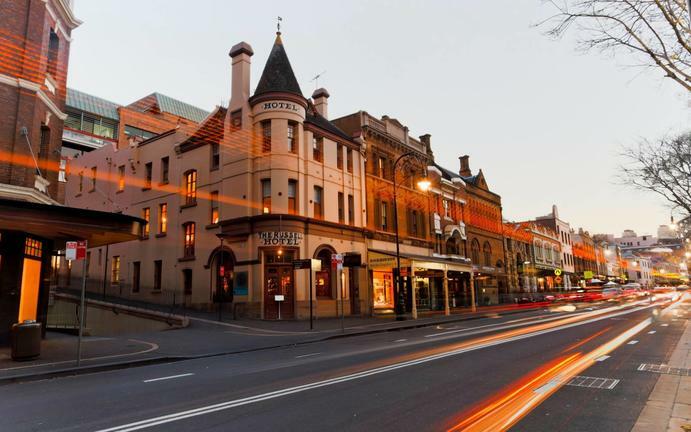 En route pass through Macquarie Street named after the fifth Governor of New South Wales, Lachlan Macquarie. 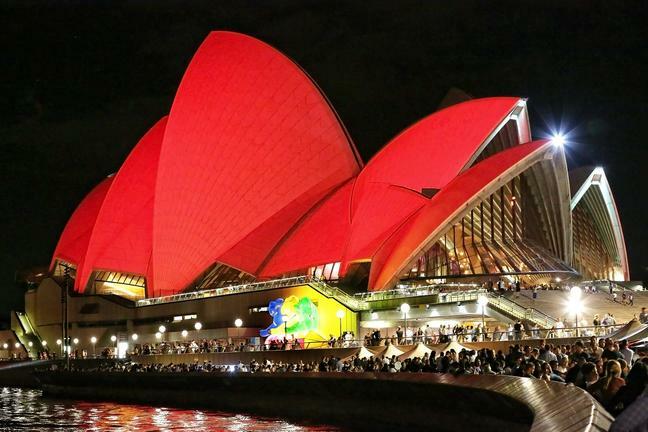 See Australia’s first Parliament House, Mint, Hyde Park Barracks and St Mary’s Cathedral. The tour continues onto Mrs Macquarie’s Chair situated on the water’s edge. 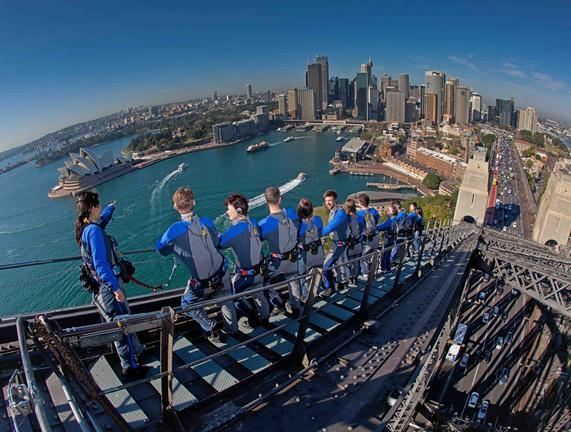 Enjoy a walking tour of the harbor's edge with magnificent views of the Sydney Harbor Bridge and the Sydney Opera House. 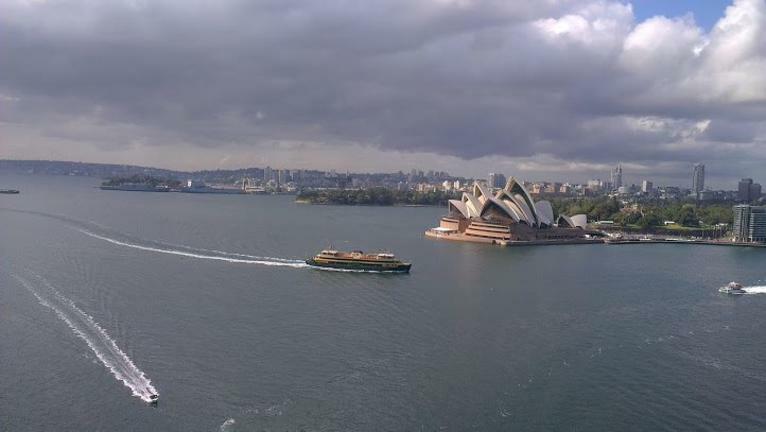 Continue through Woolloomooloo, Kings Cross and into Rushcutters Bay. 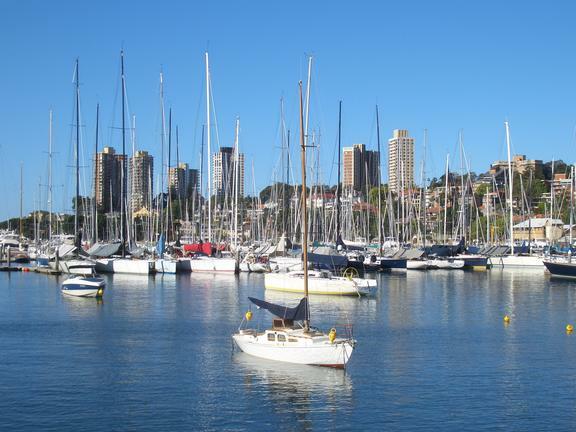 Stop to enjoy a lunch at the Cruising Yacht Club of Australia, Australia’s premier yacht club and home to the Rolex Sydney Hobart Yacht Race. 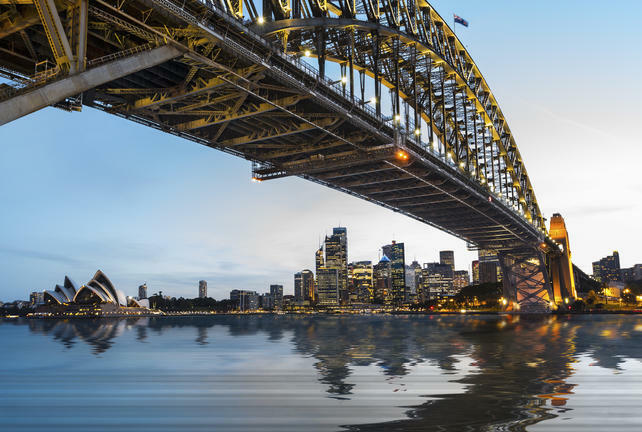 Continue on through Darling Point, one of Sydney’s affluent suburbs and see some of Sydney’s sought after addresses. 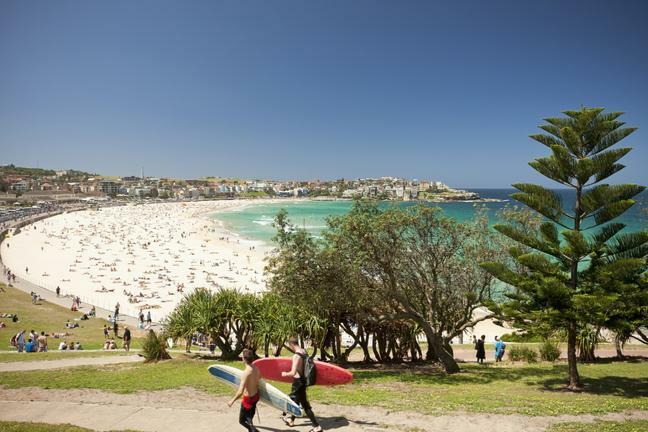 Pass by Double Bay, Rose Bay, Vaucluse and Watsons Bay, before traversing along the coastline to Sydney’s famed Bondi Beach. Soak up the atmosphere of the beach side Mecca. 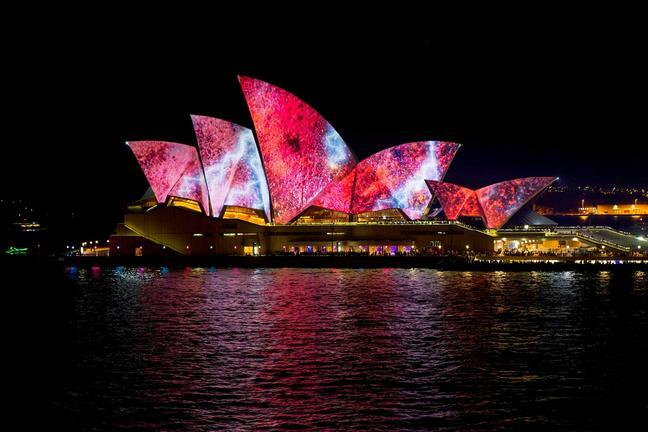 Return to Sydney via the vibrant Oxford Street and the suburb of Paddington. Admire the boutique shopping precinct and the charming Georgian and Victorian architecture of the homes. Length of tour: allow 5 hours. 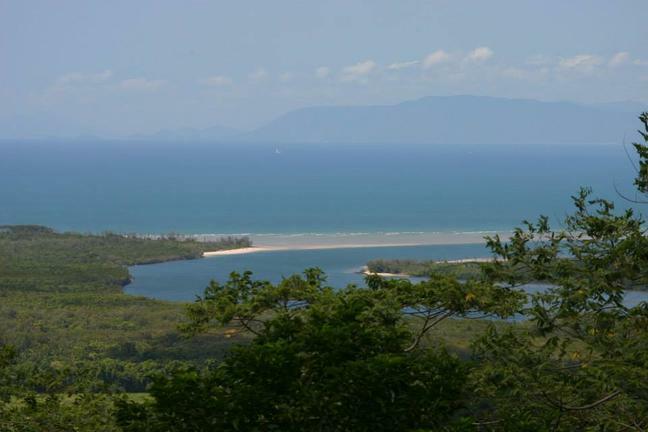 The Daintree Cape Tribulation 4 WD Bloomfield Track day tour drives north along the magnificent scenic coastal route, along the Captain Cook Highway learning about the history of the area and admiring spectacular views of the coastline and the azure waters of the Coral Sea. 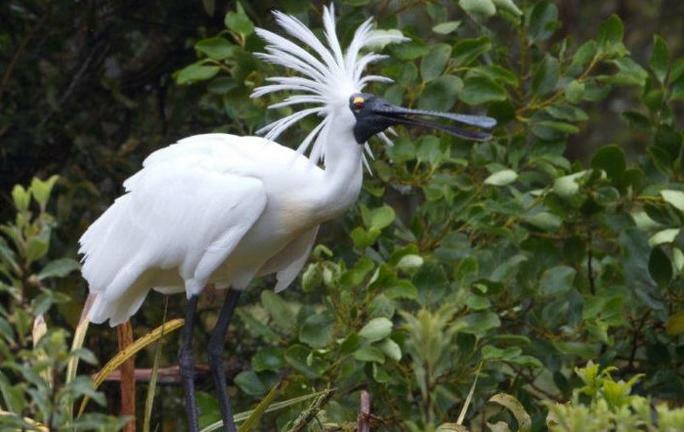 The first stop is at the Majestic Daintree River for morning tea, before enjoying an informative guided river cruise on the Daintree River. 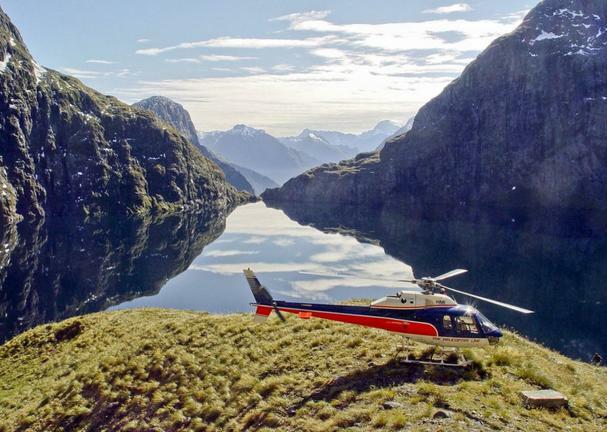 Heading up over the Alexandra Range, pause to appreciate the incredible views. 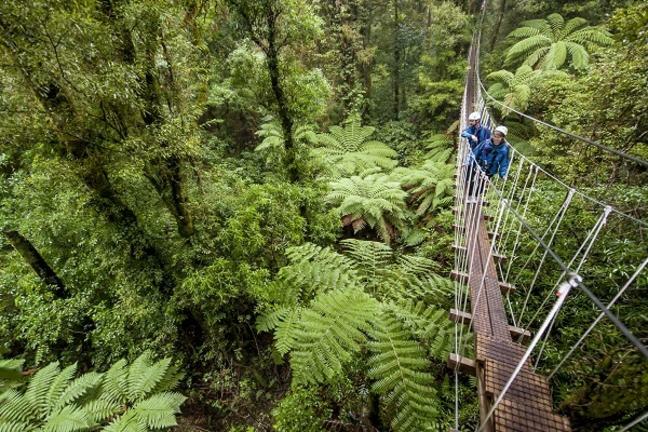 Experience the rainforest intimately on one of the guided elevated National Park Boardwalks. 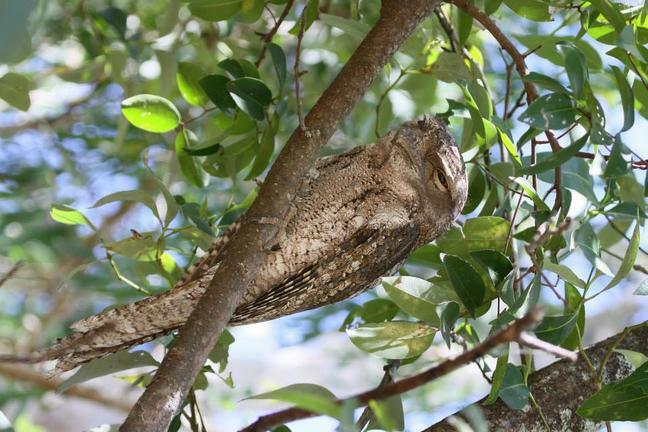 The experienced guide will take guests on a wonderful journey through the ancient rainforest while offering interpretations of flora and fauna. 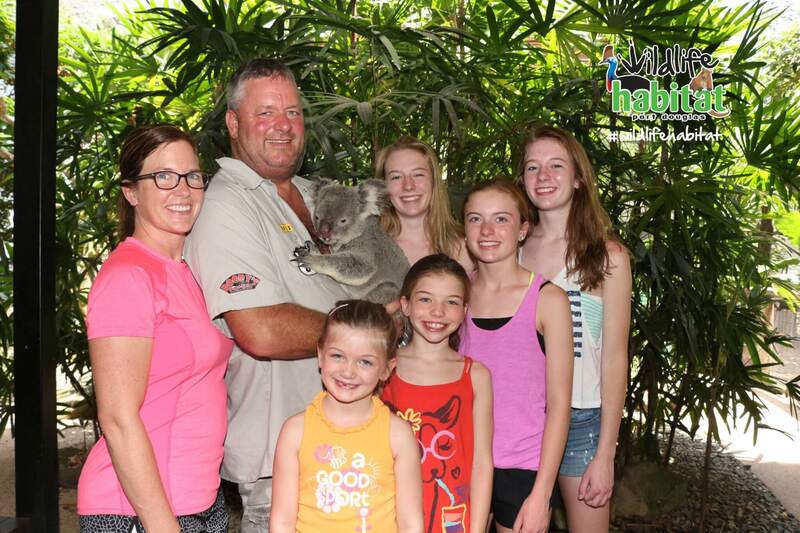 The tour continues towards Daintree, Cape Tribulation with a stop at Lync Haven which is an animal refuge center, where guests have the opportunity to hand feed kangaroos and get up close to some of Australia’s wildlife. Enjoy a delicious gourmet barbecue lunch with freshly prepared salads in a beautiful rainforest setting restaurant. 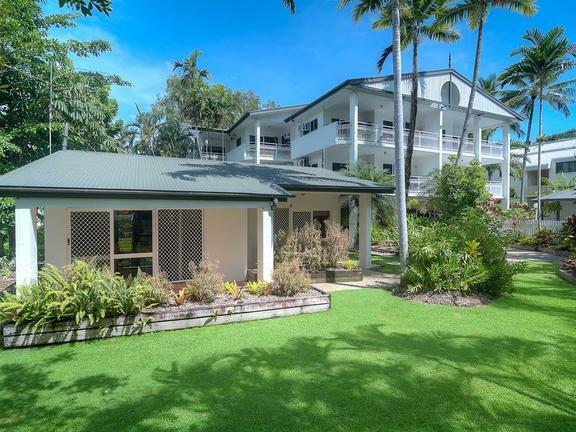 The tour leads beyond the famed Daintree Tea Plantation, past spectacular mountains and through spectacular World Heritage Rainforest, as it passes Cape Tribulation and continues along the 4 WD Bloomfield Track through to pristine Emmagen Creek. 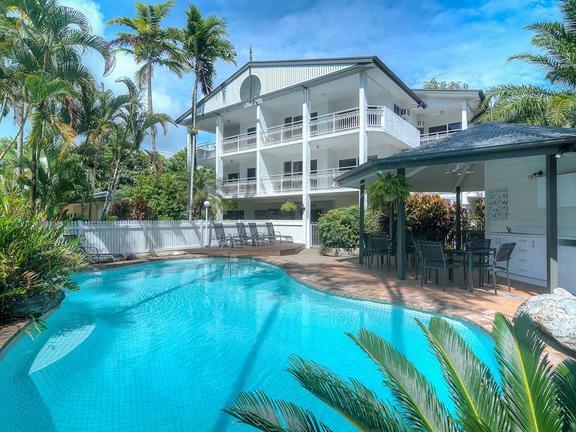 At Cape Tribulation Beach, there is time to swim in the Coral Sea or stroll along the beach and boardwalk to the photographers' platform overlooking the mountains and coast where the 'Rainforest meets the Reef'. 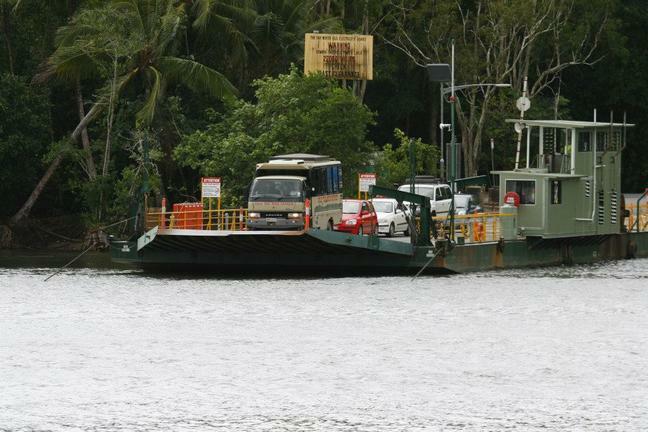 After a short afternoon refreshment stop, cross the Daintree River by cable ferry and begin the homeward journey. Departs/ Finishes: Pick-up and drop-off from hotel. Phone: +61 7 4032 0077. Check-in: 10 minutes prior departure at hotel reception. What to bring: Backpack or bag, camera, insect repellent, rain jacket, required medication, sun glasses, sun screen, sun hat, swim suit, towel, sandals, warm top. 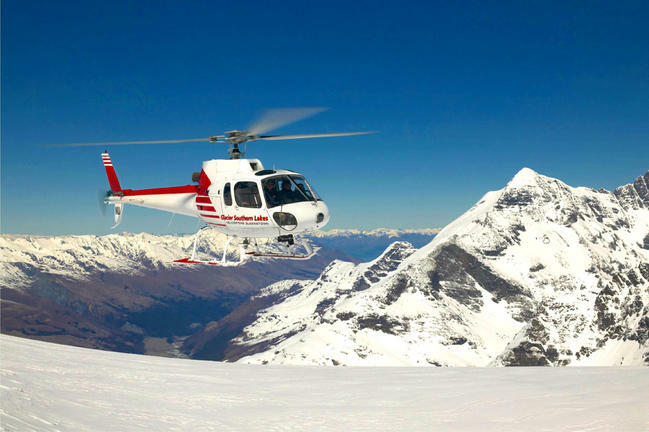 What is provided: Hotel pick-up and transfers, Safety briefing, Qualified Guide, Specialised tour equipment, First Aid Kit, Afternoon Tea, Lunch. There are several boardwalks in the Cape Tribulation Section for visitors to enjoy. 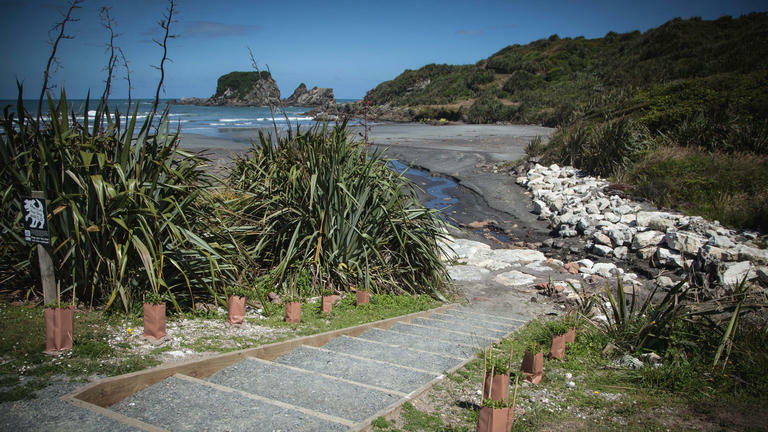 Three of the four short boardwalks, Marrdja, Dubuji and Kulki, are fully wheelchair-accessible. At the fourth boardwalk, Jindalba, wheelchair access to the creek is available from the exit end only, near the disabled park bays. 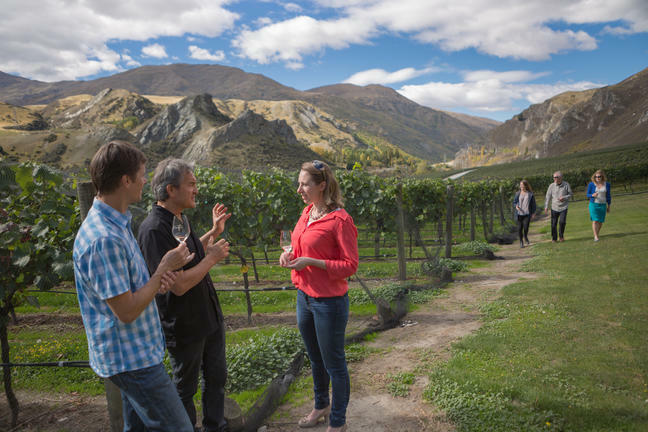 The Queenstown Wine Trail is Queenstown's original wine tour company, which has grown alongside the Central Otago wine industry over the past 25 years. 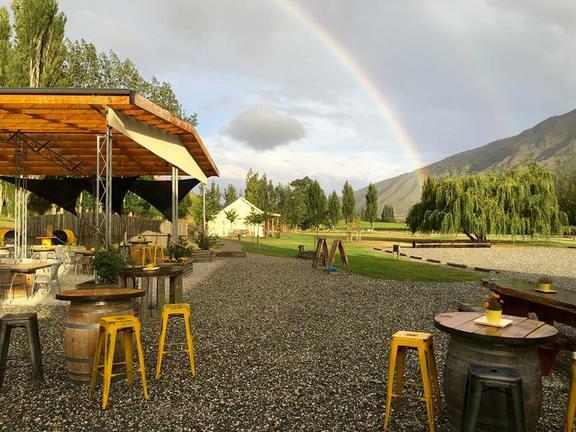 Our experienced team and excellent working relationships with the wineries in the Gibbston, Bannockburn and Cromwell areas mean we guarantee to give all guests a fun, informative, friendly and above all, personalised tour. 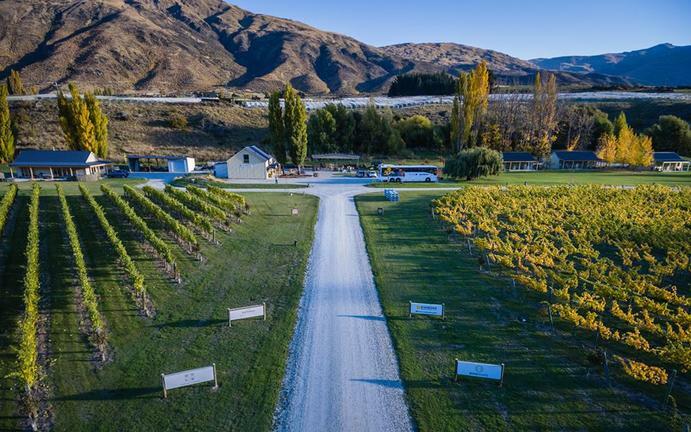 We choose the best vineyard combinations in the Queenstown and Central Otago region to provide a relaxed and unhurried experience. Whether your palate is well developed or simply enthusiastic, as long as you love wine, our tours will delight. 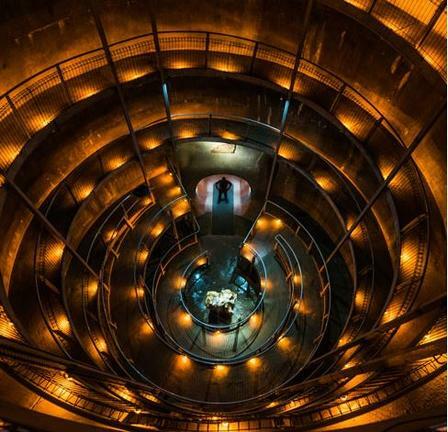 Ranging from daily wine tour departures to pre-arranged personalised private tours, we offer a variety of products to suit your specific requirements. 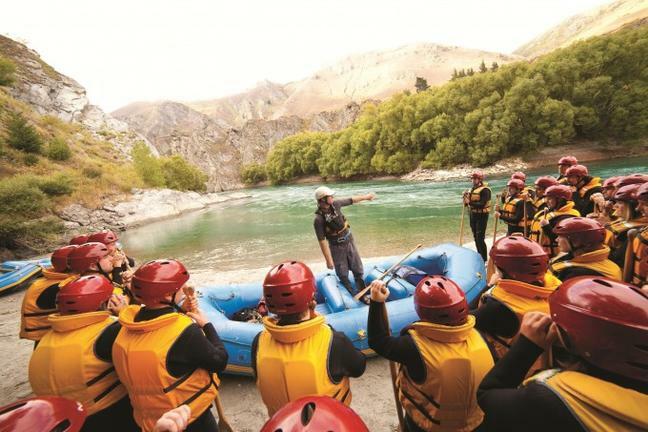 The Kawarau River is ideal for first time rafters or suited to those looking for a more relaxed rafting experience, or groups of mixed ability and ages. 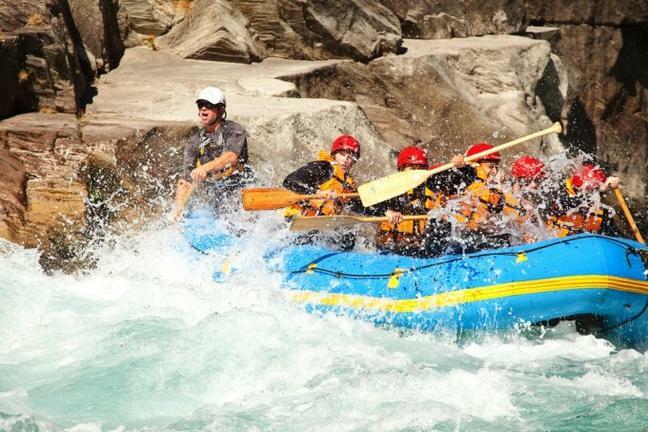 There is plenty of white water action, but also time to relax and enjoy the spectacular scenery. 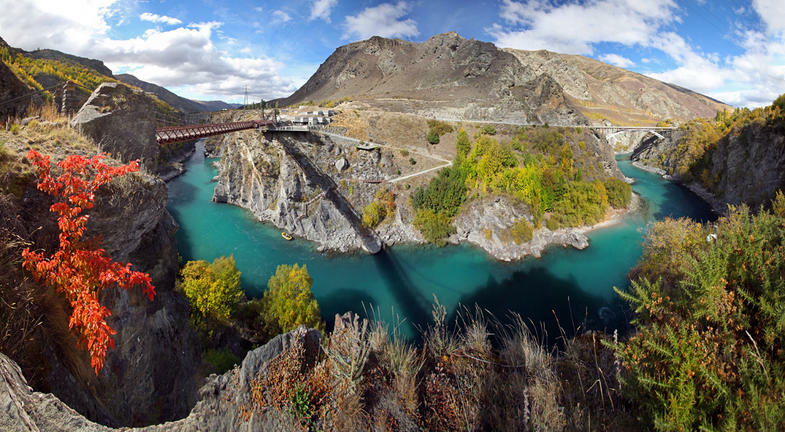 The Kawarau River starred as the River Anduin in Lord of the Rings. 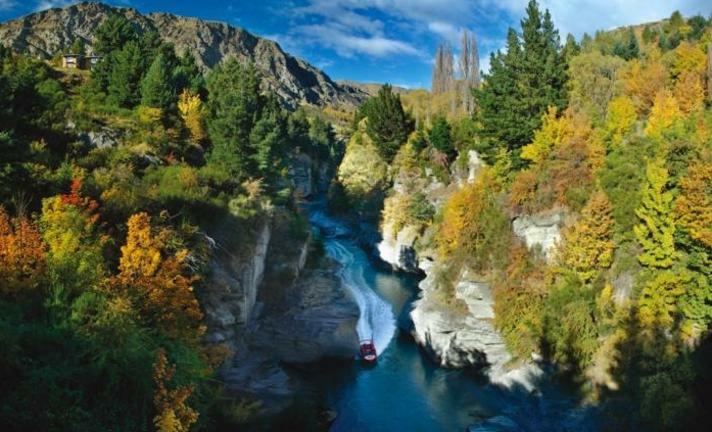 The grandeur of the canyons imparts a feeling of paddling through the heart of Middle Earth. 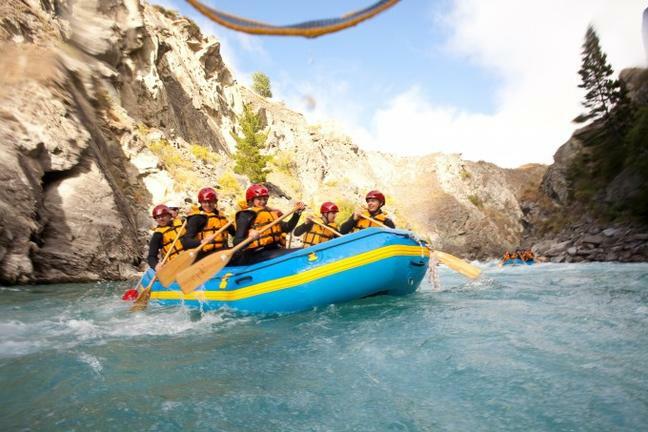 Enjoy the unforgettable 400 meter long Dog Leg rapid, New Zealand’s longest commercially rafted rapid, before returning to Queenstown for a sauna and shower at Cavells Rafting Base. 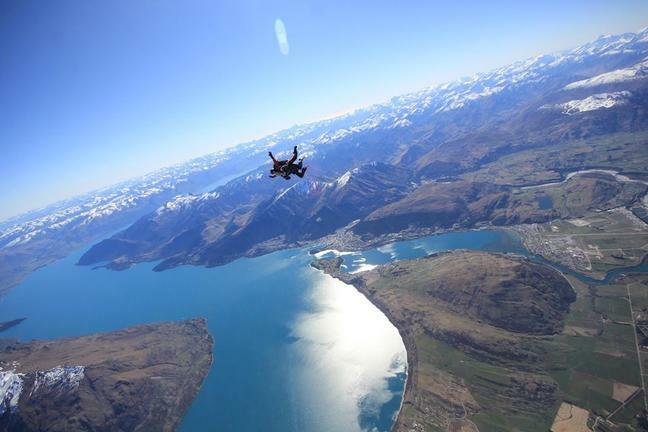 The Queenstown skydiving experience starts at the meeting point located right in the heart of Queenstown, at the NZONE Skydive Center. It is the check-in point, where following registration and a video briefing in the innovative cinema room, visitors can select photo and video options. 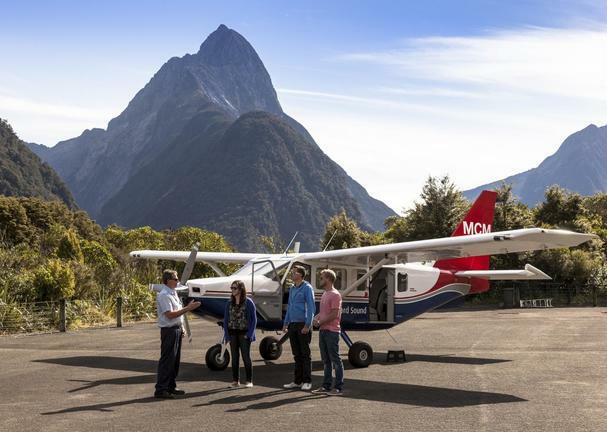 The drop zone, to which visitors are transported, is just 20 minutes away on a private airstrip set amid a rural farmland background. 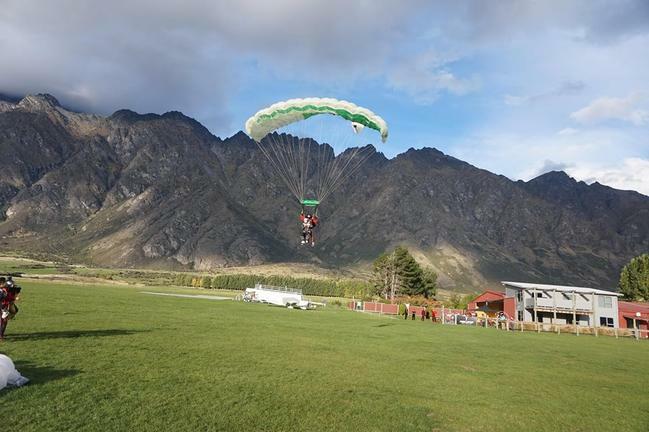 Departs/ Finishes: NZONE Skydive Shop, 35 Shotover Street, Queenstown. 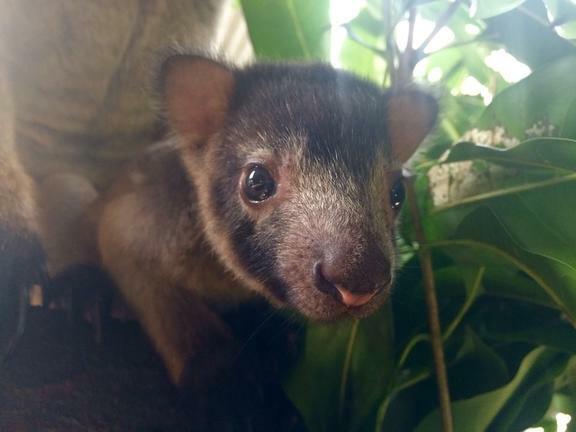 Phone: 03 442 5867. Check-in: call 30 minutes prior departure to check re weather conditions. 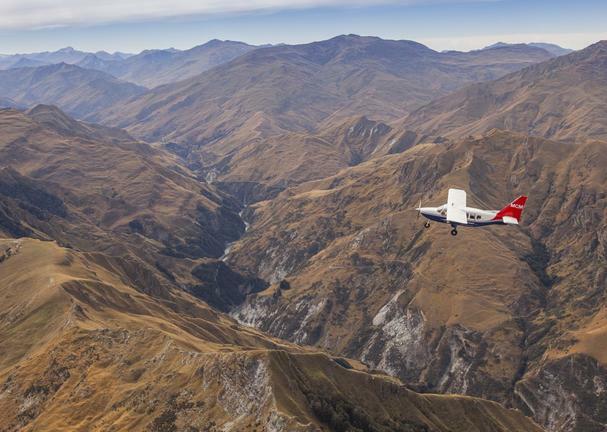 How to get there: Meet at above location in Queenstown for transfer to the air field base. What to bring: Camera, required medication, wear comfortable clothing and closed shoes. Notes: Customers over 100kg/220lbs will not be permitted to jump. Those under 18 require parental/guardian consent. 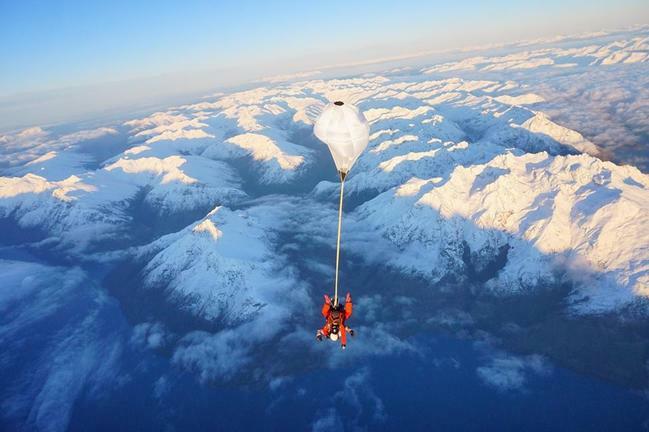 Please be aware that skydiving is a very weather dependent activity and cancellations due to unsuitable weather conditions may occur. Departs/ Finishes: Station Building (corner of Camp/Shotover Sts, Queenstown. Phone: 0800 286 495. 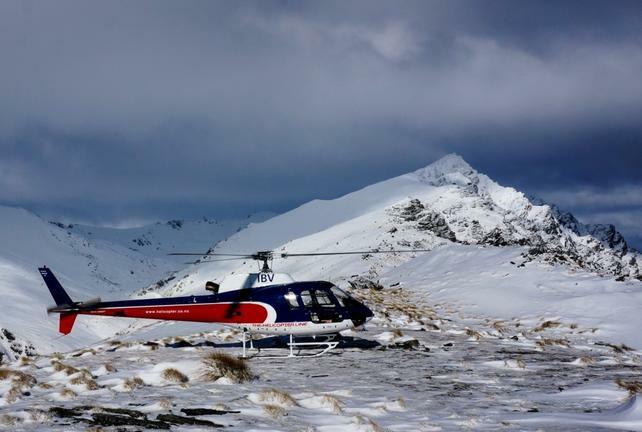 How to get there: Return transfers to/from the Nevis site from Queenstown are included. What to bring: Camera, rain jacket, required medication, sun glasses, sun screen. Covered footwear must be worn. Please bring warm clothes with you as weather conditions vary. Notes: Children aged 10 to 14 years old must have a parent or guardian co-sign their declaration and waiver. Minimum Weight: 35kg. Maximum Weight: 220kg. Minimum Age: 10 years. Tandem Swingers: please note there may be swing style restrictions due to weight differences. 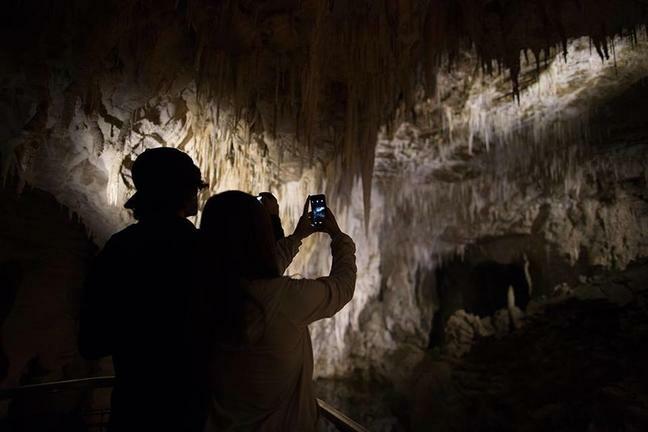 Photos and Videos are available at extra charges. 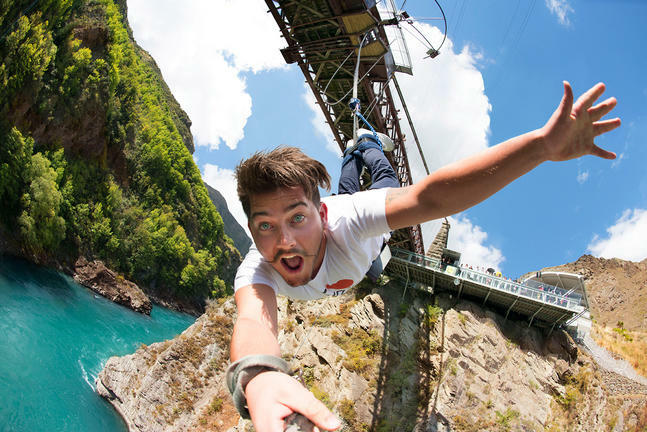 Departs/ Finishes: Kawarau Bridge Bungy Centre on SH 6, Gibbston Valley. Phone: 0800 286 495. 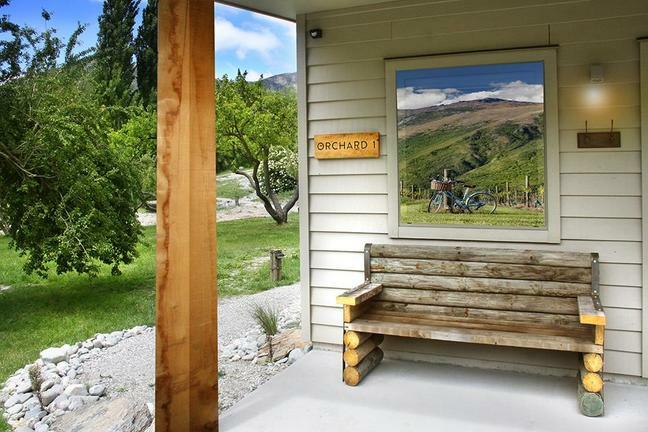 How to get there: Either self-drive or transfer from Queenstown are included. Free car parking. Notes: Children aged 10 to 14 years old must have a parent or guardian co-sign their declaration and waiver. Minimum Weight: 35kg. Maximum Weight: 235kg. Minimum Age: 10 years. Photos and Videos are available at extra charges. 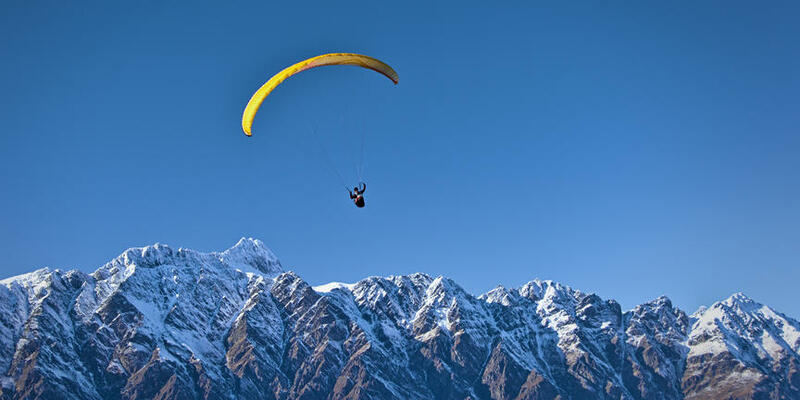 If you're thinking of Jumping Tandem, the weight difference between the two tandem jumpers cannot exceed 30KGs. 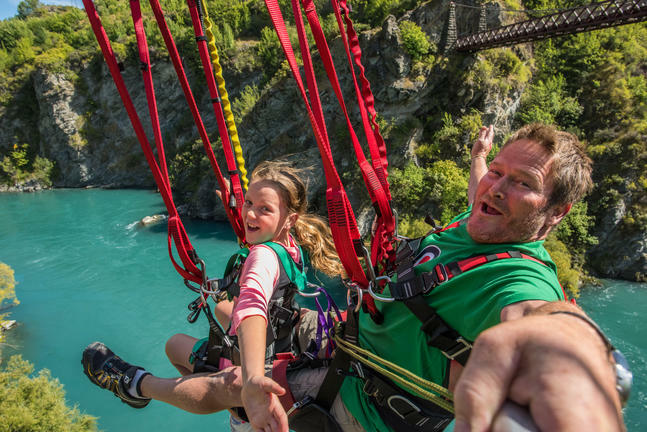 Cancellation Policy: Once an AJ Hackett Bungy New Zealand product has been booked and paid for, this product is non-transferable and non-refundable. 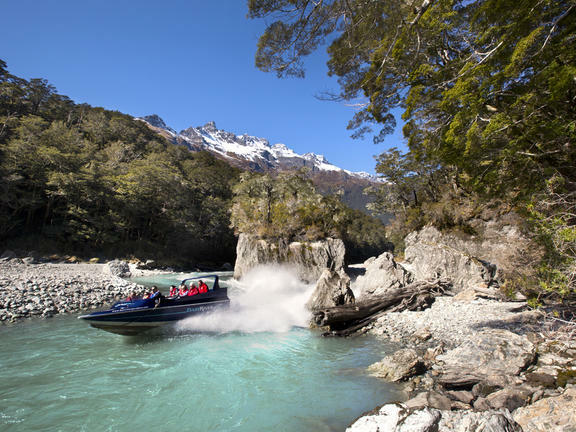 Discover the world’s finest ocean to alps river jet boating tour, near Haast exploring Te-Wahipounamu – South West New Zealand World Heritage Area. 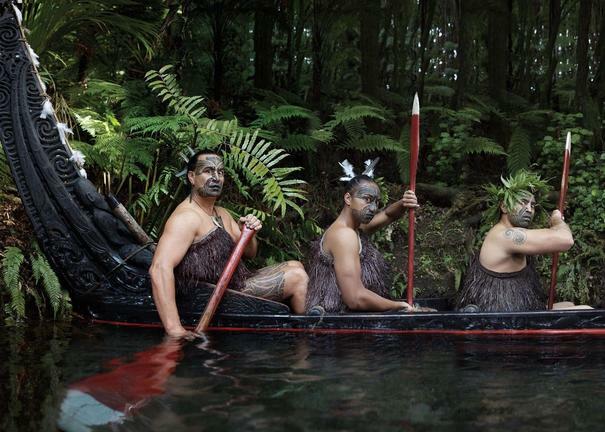 Visit a place rich in Maori history and legend while feeling the pioneering spirit of days gone by. 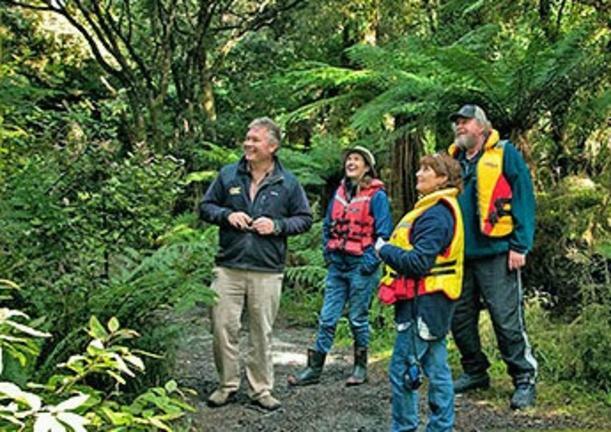 Experience this truly remote, untouched wilderness at a laid back, relaxing pace and pause to take photos while listening to the professional guide's informative commentary. 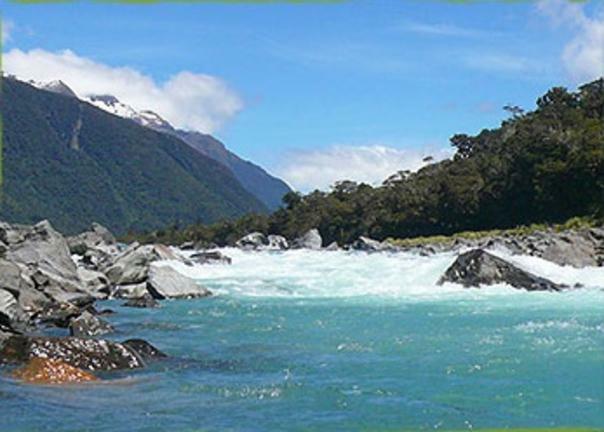 Haast is a small collection of communities, Haast Junction, Haast township and Haast Beach, on the West Coast of New Zealand's South Island. 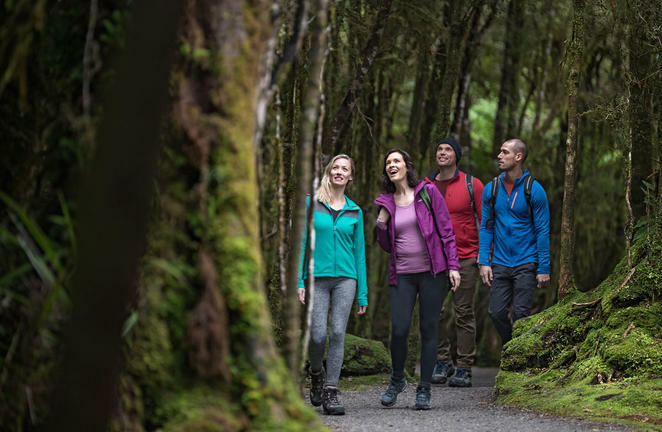 Favourably located on the edge of Mount Aspiring National Park, the Haast region covers over 2500 square kilometres of one of the world's most diverse and spectacular landscapes. 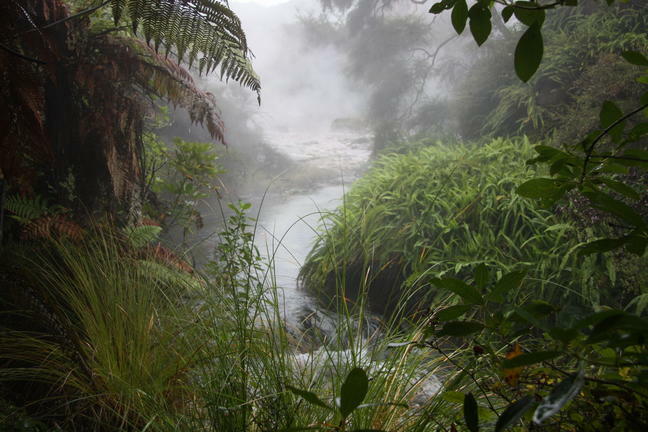 In 1990 this area was internationally recognised as a location of significant natural value and became the centre piece of Te Wahipounamu - The South West New Zealand World Heritage Area. 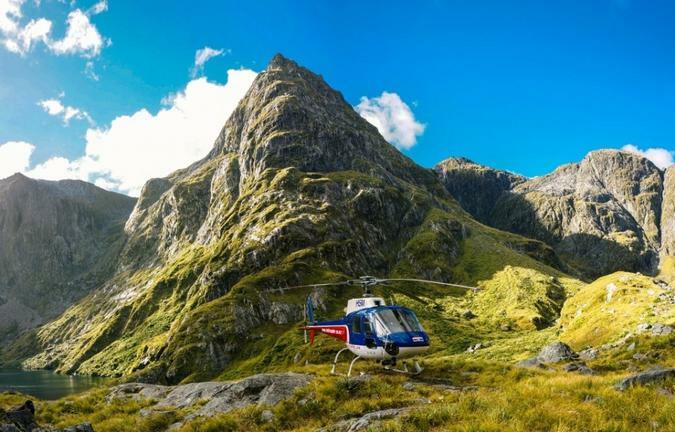 A single day can be spent hiking in lush green mountains and rain forests, mingling with the friendly locals, or discovering stunning waterfalls, untouched beaches and rugged glacial river valleys. 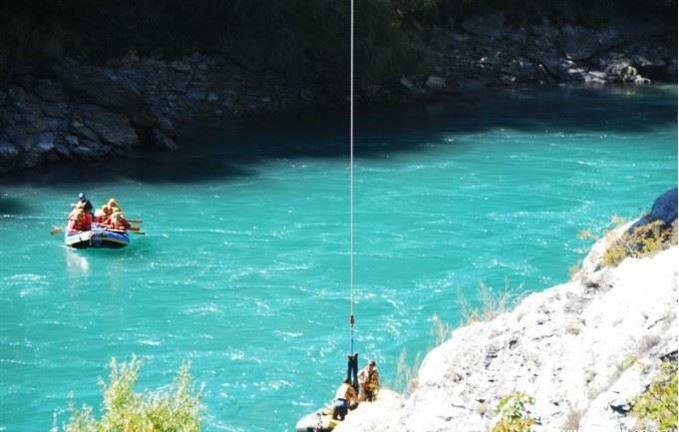 This spectacularly beautiful natural environment is an outdoor sport enthusiast’s dream with excellent hunting, fishing, rafting and kayaking opportunities on offer. 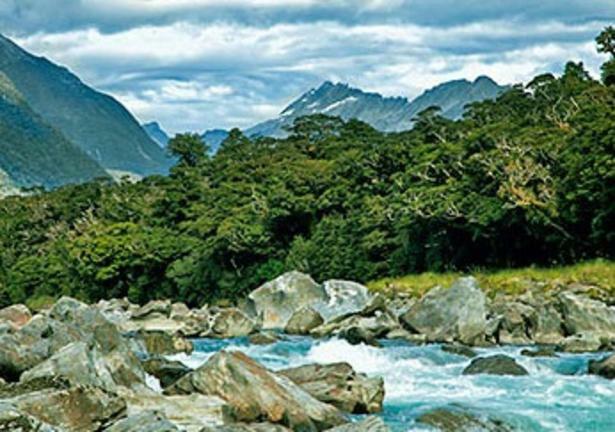 Haast is an ideal place to sneak away from the crowds and experience nature at its wildest and its best. 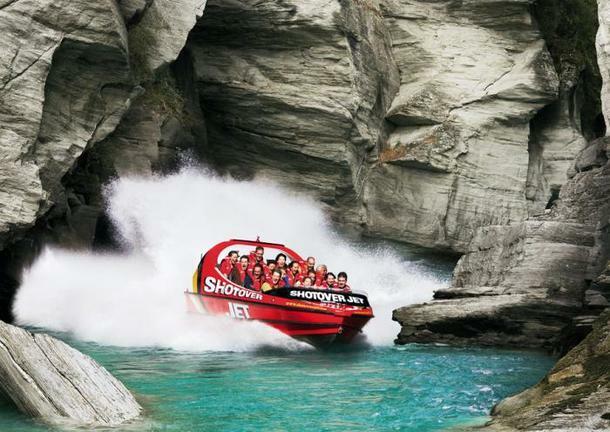 Located on the West Coast in New Zealand, Ship Creek offers visitors a lovely adventure with spectacular views. 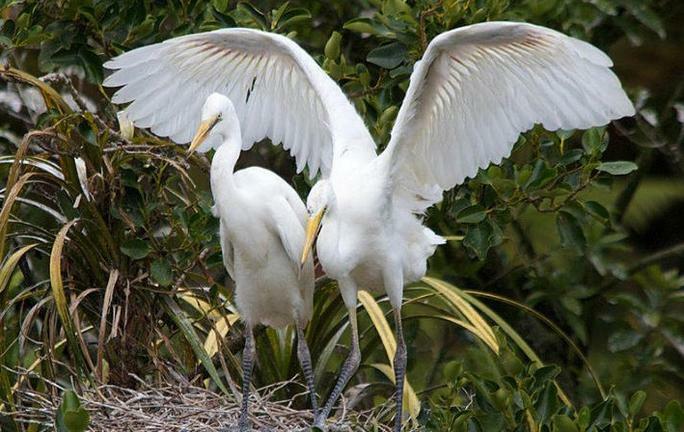 Here, visitors have a choice of two short walking trails covering a swamp forest and sand dunes. 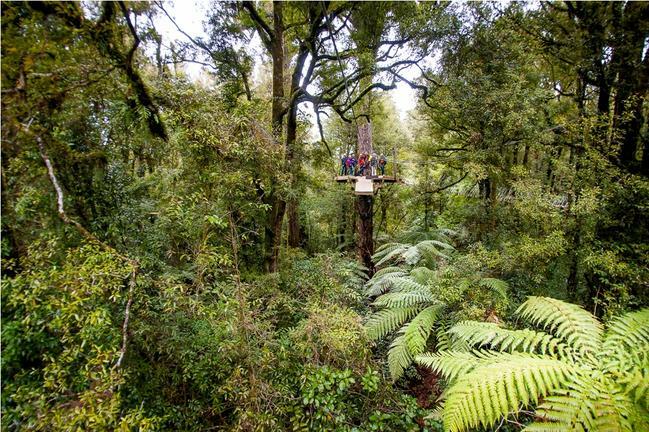 Following the swamp forest trail, visitors have the opportunity to view kahikatea trees which are the tallest in New Zealand. The sand dune trail leads through a dense coastal forest of windswept trees and along the way, visitors can experience stunning views of dune lake and the coastline. 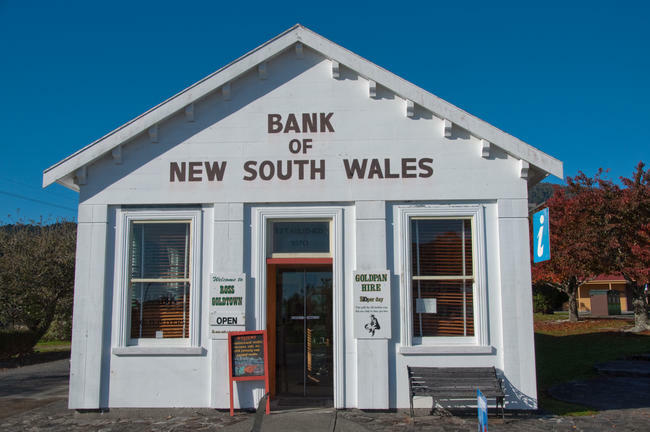 Established in the 1860s, Ross is an historic West Coast town located in the Westland District on the West Coast of New Zealand’s South Island. 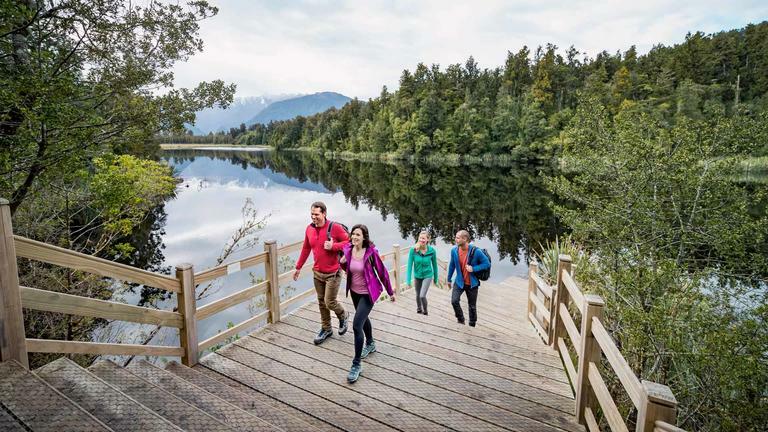 The township lies 20 minutes drive south of Hokitika airport on State Highway 6 and 46 kilometres north-east of Harihari, State Highway 6 passes through Ross on its route from Ruatapu south to Pukekura, Harihari, and further south, the Franz Josef Glacier. With a population of 297 (2013 census) there is little to suggest that Ross once had a population of over four thousand . 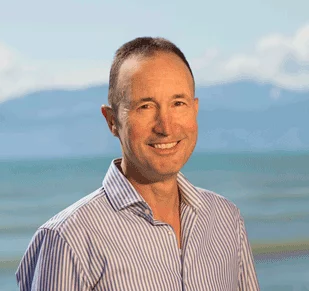 Ross was once “The Ballarat of Westland” and the Ross Flat was “the richest piece of alluvial ground in New Zealand”. 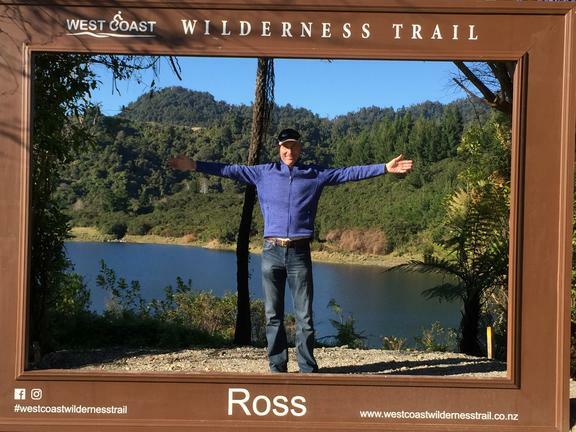 Ross has many attractions, The West Coast Wilderness Cycle Trail start or finishes in Ross, The Water Race walkway, Gold Panning at Jones Creek or the Information Centre. 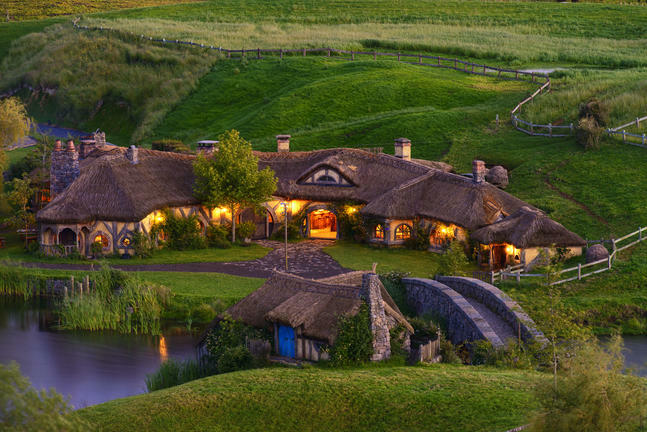 Shantytown is a popular tourist destination in the West Coast Region of New Zealand’s South Island. 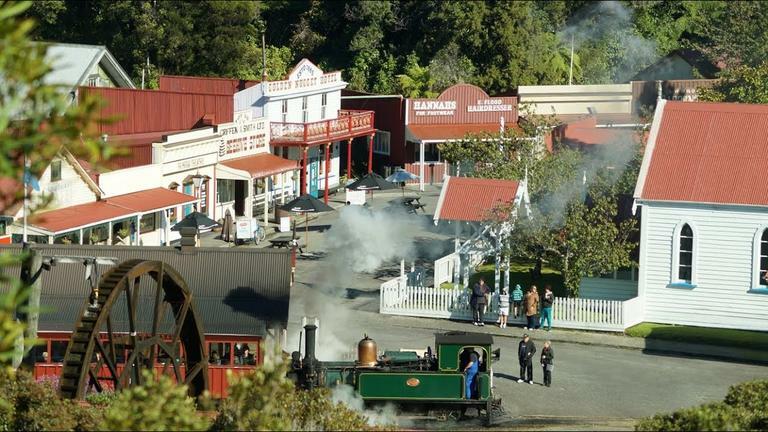 Found just 10 kilometres south of Greymouth, this recreation of a Gold Rush-era town was devised by the Historical and Mechanical Society in 1968 as a way of preserving the heritage of the region, and today is an action-packed facility giving visitors a taste of life in the 19th century. 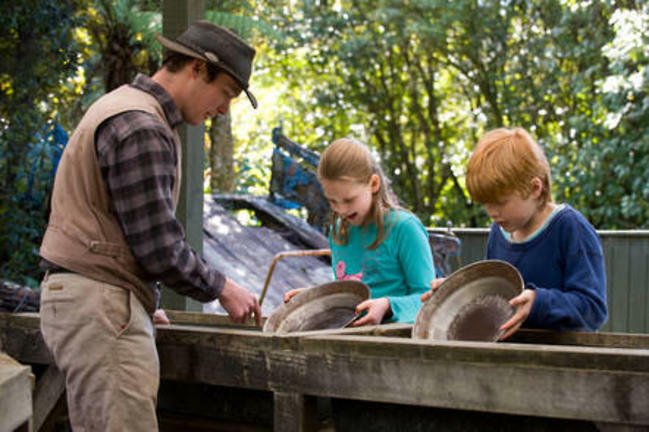 Take a ride on a steam engine train, try your hand at gold panning, explore a period-perfect sawmill, enjoy some Wild West-themed shows at the Hologram Theatre and wander around the village’s vibrant Chinatown district. 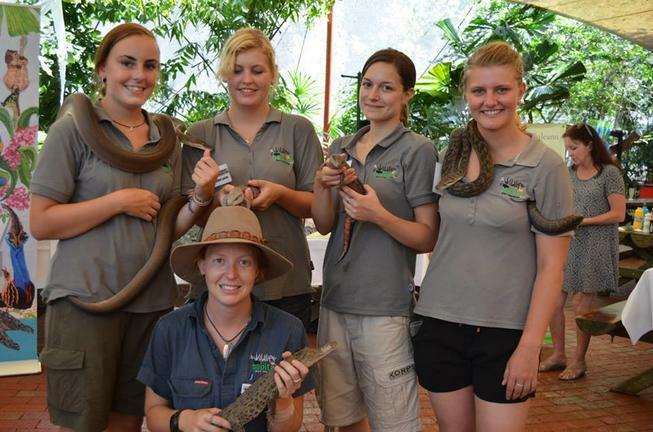 Short rainforest walks, fun old-time photo shoots and several popular onsite cafes complete the perfect day out with the kids. 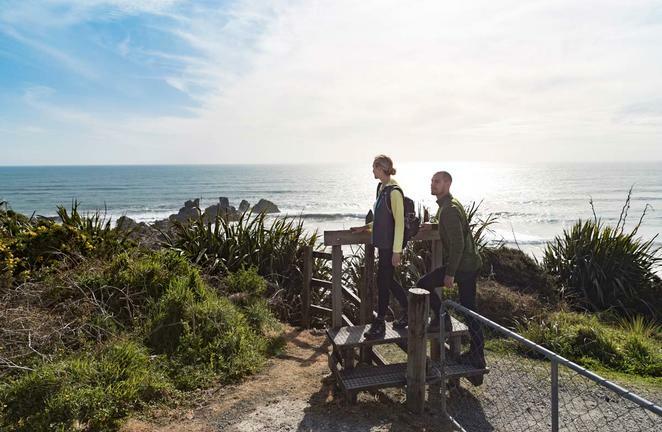 The tiny township of Punakaiki on the West Coast of New Zealand's South Island is primarily used by visitors as a base for exploring the nearby Paparoa National Park. 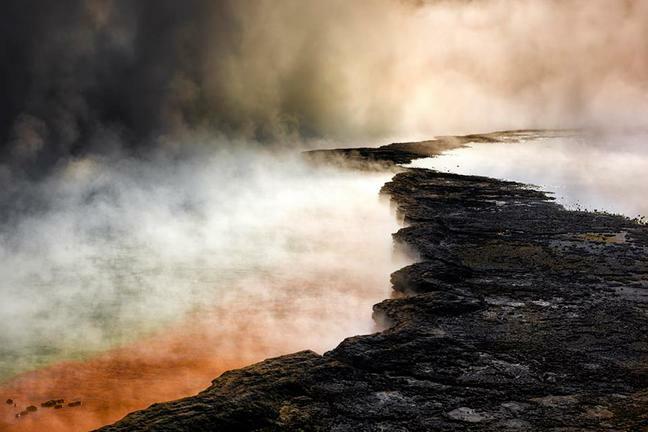 The park is best known for its dramatic blowholes and the distinctive Pancake Rocks. These picturesque limestone formations look curiously like stony stacks of pancakes which funnel blasts of water up to 15 m into the air as the waves crash into the caverns below the rocks. 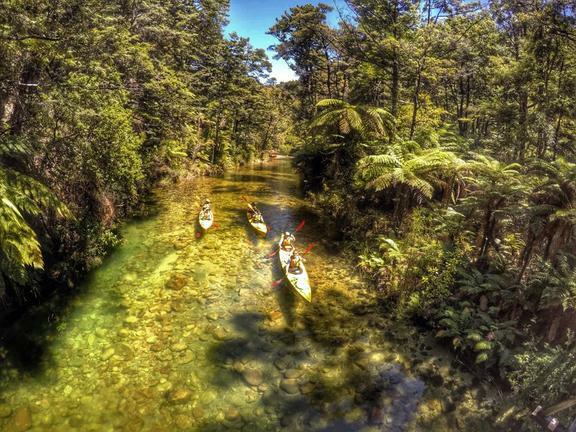 Visitors can explore the sub-tropical rainforests, horse ride along the spectacular coastline, paddle a canoe down the tranquil Pororari River, or climb the remarkable limestone formations for which this area is known. 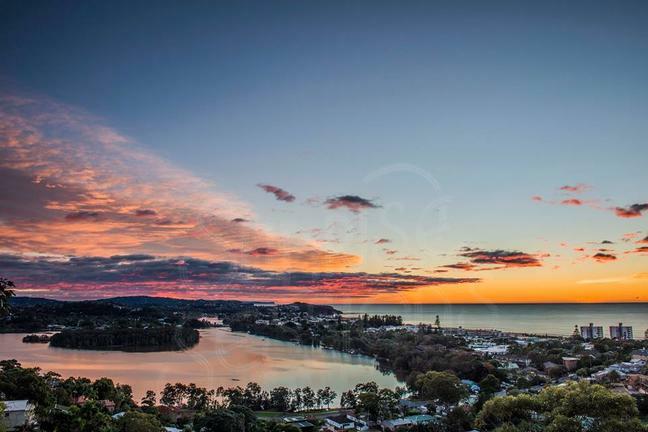 The town itself offers some delightful cafes and restaurants and is home to a small community of quirky local craftspeople including jewellers, carvers, painters and potters. 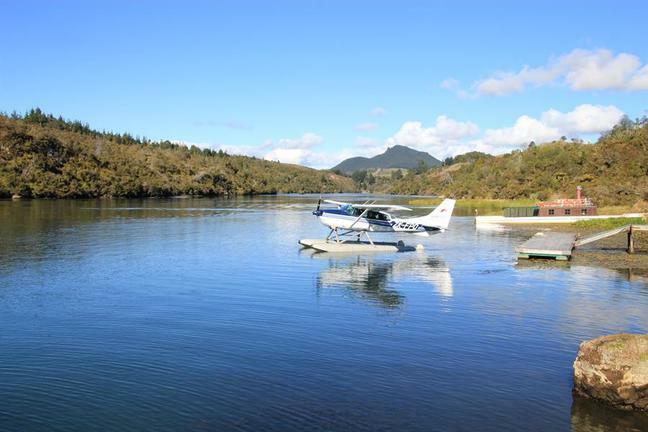 This little town is the perfect place to take some time out between excursions into one of the West Coast's most beautiful and untouched wilderness areas. 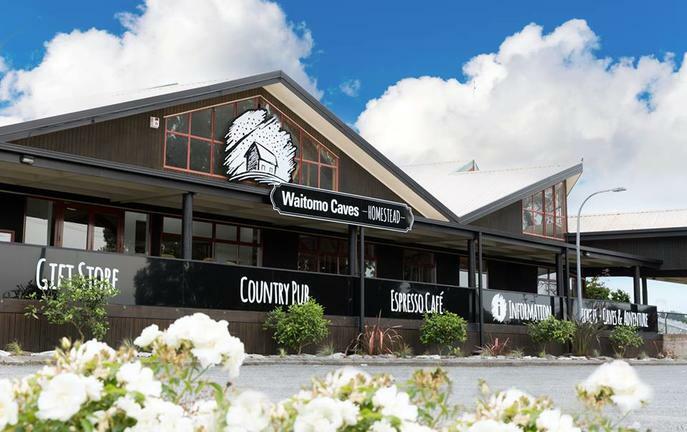 Note, Punakaiki has no supermarket, no petrol station and limited restaurant facilities. 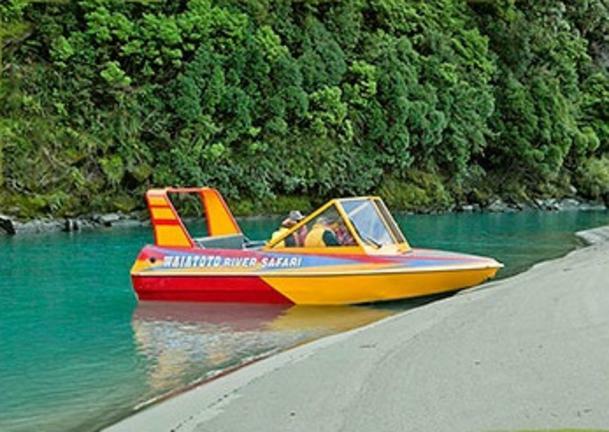 Start your morning with a Water Taxi to Torrent Bay. Walking unguided from Torrent Bay the track climbs steadily, then sidles around two valleys and above an inlet to Falls River, which is crossed by a suspension bridge. The 47 metre bridge is a real highlight of this trip. 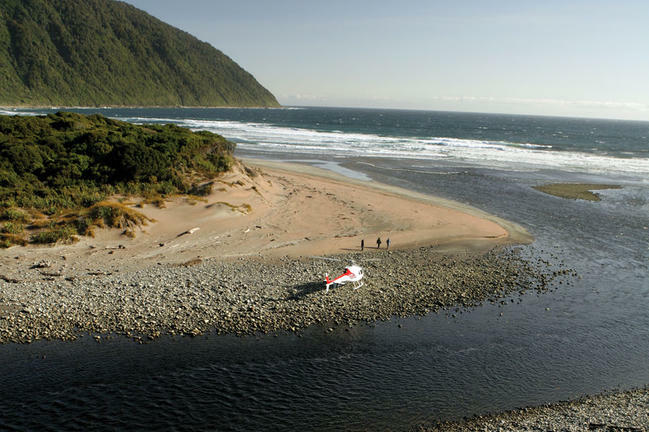 Beyond the river, the track meanders through lush coastal forest before dropping back to sea level to Bark Bay. 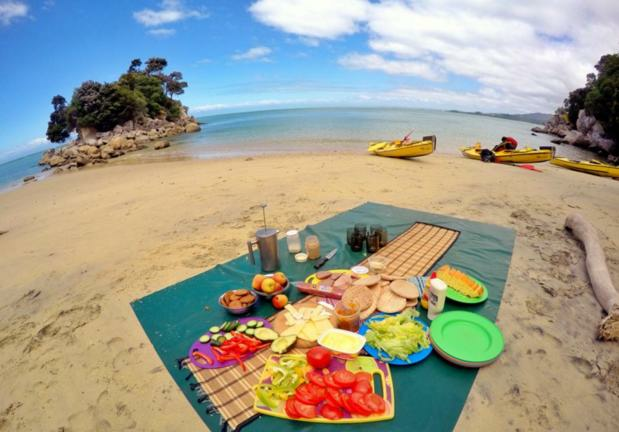 Enjoy your freshly made lunch at Bark Bay packed with nutrition before being picked up by the Water Taxi. 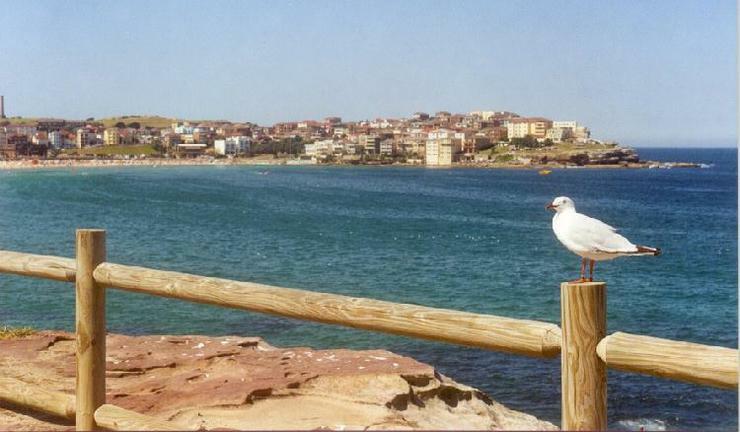 Relax onboard the boat and enjoy the coastal view of the area you have just walked. 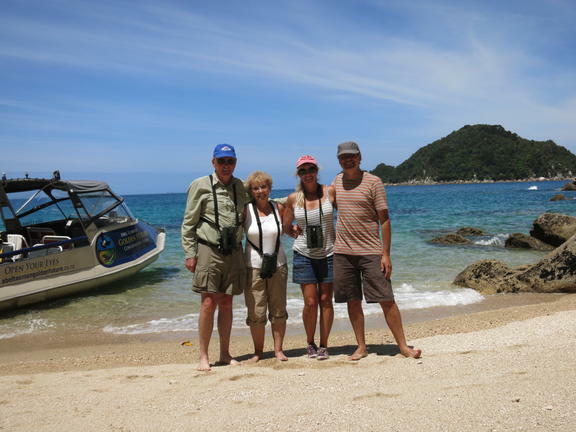 Upon reaching Observation Beach meet your kayak guide and join the second half of our Soul Food trip. 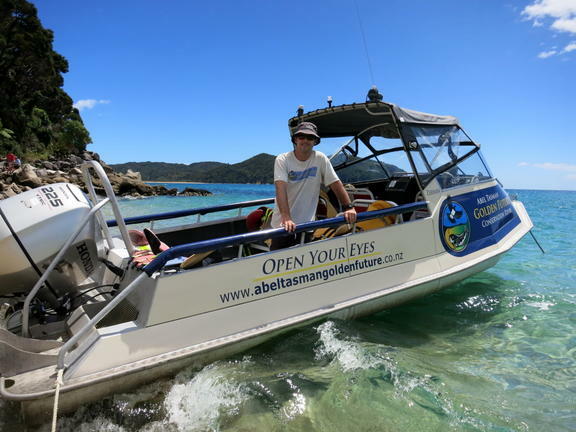 Take in all the highlights of the southern Abel Tasman, experience up close the beautiful Astrolabe Islands. 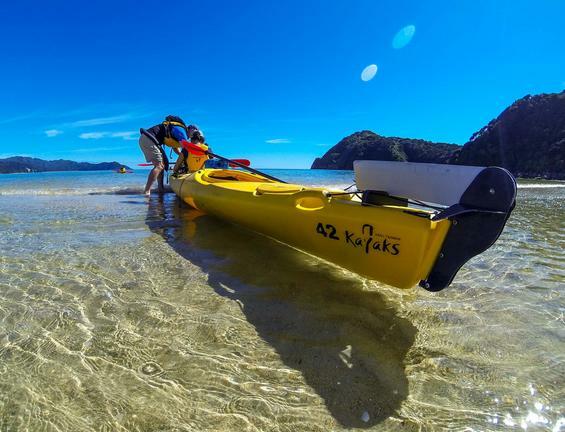 If conditions permit, kayak-sail back into Marahau on the afternoon sea breeze. 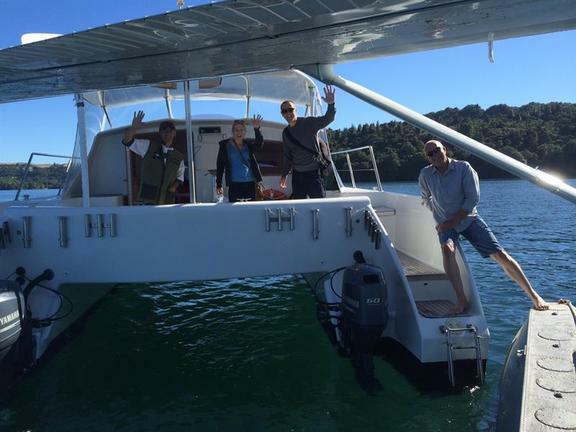 Departs/ Finishes: At Marahau Beach base. 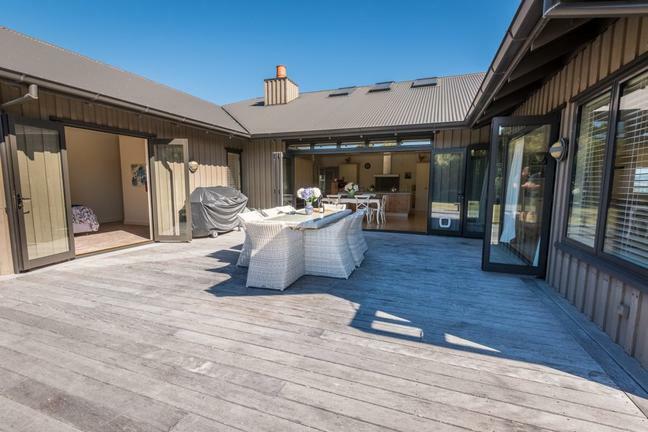 273 Sandy Bay - Marahau Road, Marahau. Office phone details: 03 527 8022 or NZ freephone 0800 732 529. Length of tour: takes 8-9 hours. 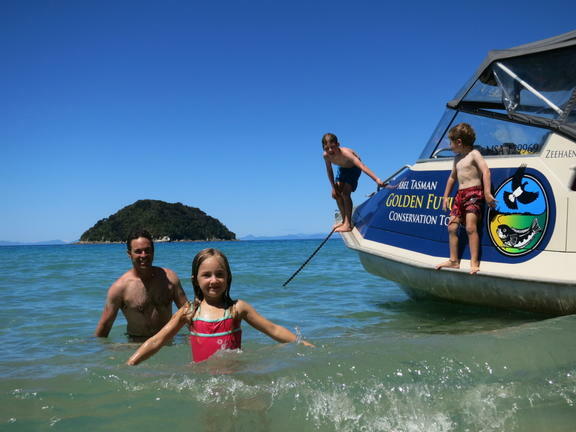 How to get there: Directions from Nelson travel via Motueka to the Abel Tasman National Park. 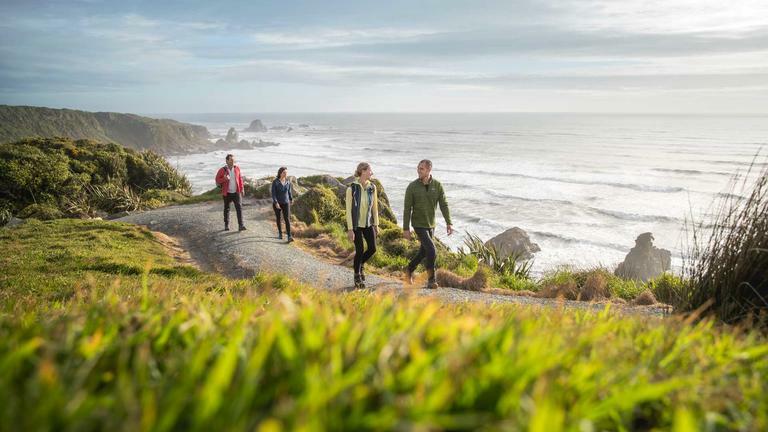 Best is to turn from main road (SH60) after the village of Riwaka the SECOND road RIGHT (into Riwaka - Sandy Bay Road) and follow until you reach Marahau Village. 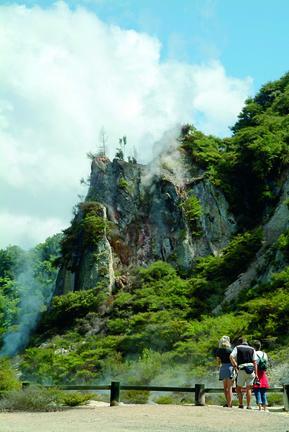 The base is located after a left bends, after 200 metres, on your left. 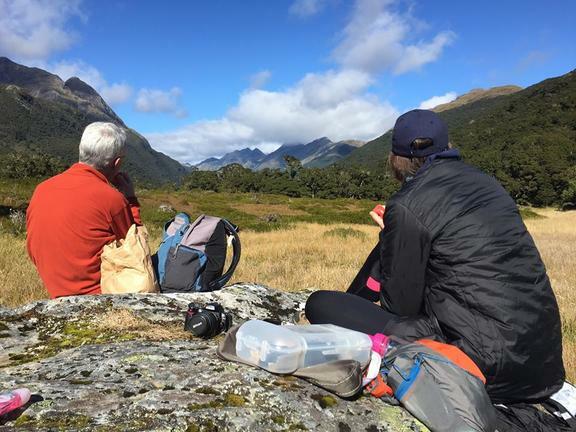 What to bring: Water bottle, camera, sunscreen, hat, insect repellent, swim suit or fast drying clothing (avoid pants or jeans), warm jacket (avoid cotton – wool or fleece is best), change of clothes, towel, walking shoes or walking sandals, any personal medication you may require. 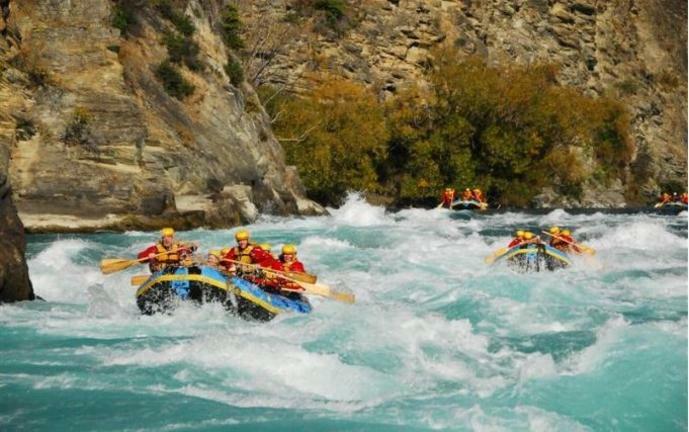 What is provided: Lunch, water taxi rides, kayaking equipment, dry bag for cameras, safety gear & briefing, Qualified Kayaking Guide. 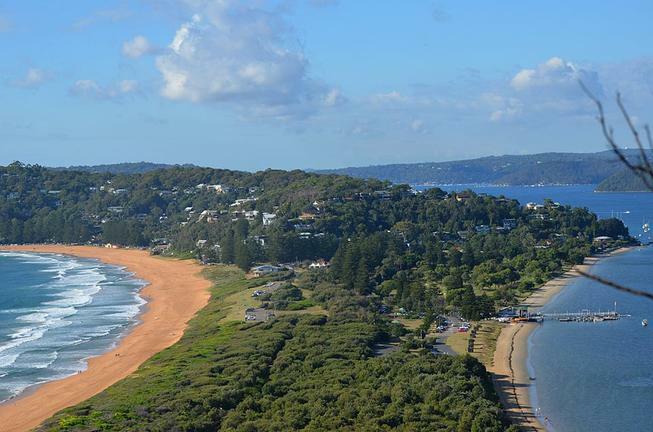 Walking Part: This is approx 2.5 hours (7.7kms) non-guided, up-and-down along the coast between Torrent Bay and Bark Bay. Bring good, comfortable walking shoes or trainers. Your guide will provide you with lunch and a map for your morning walk. 9.00am Water Taxi to Torrent Bay. 9.45am Walk from Torrent Bay to Bark Bay. Approx 2.5hrs 7.7km. 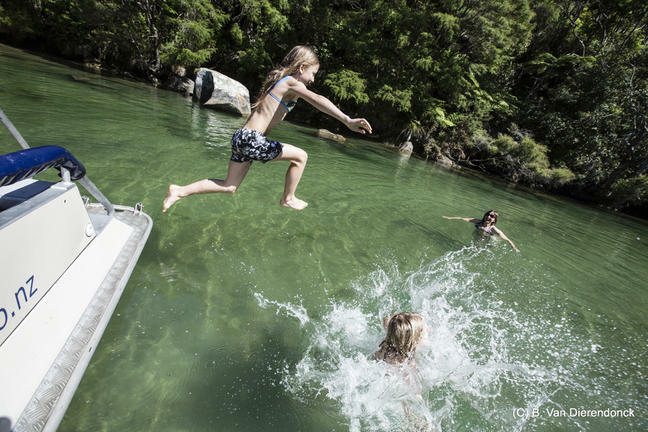 12.45pm Water Taxi from Bark Bay to Watering Cove. 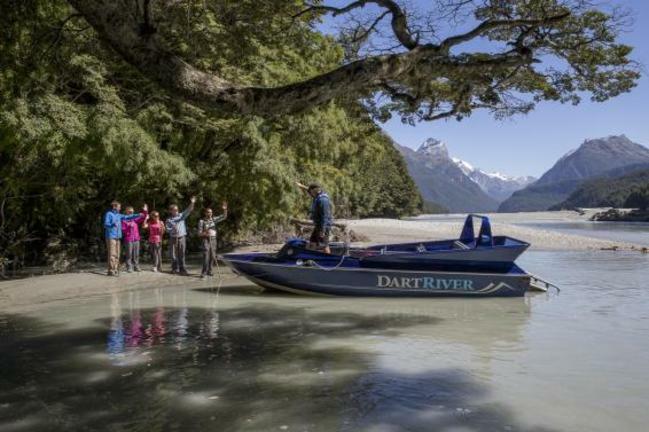 1.15pm Meet your guide at Observation Beach for your kayak briefing. 1.30pm Kayak from Observation Beach back to Marahau. If conditions permit sail back home. Kayak approx 2 hrs with breaks. 4.00pm Arrive back in Marahau. 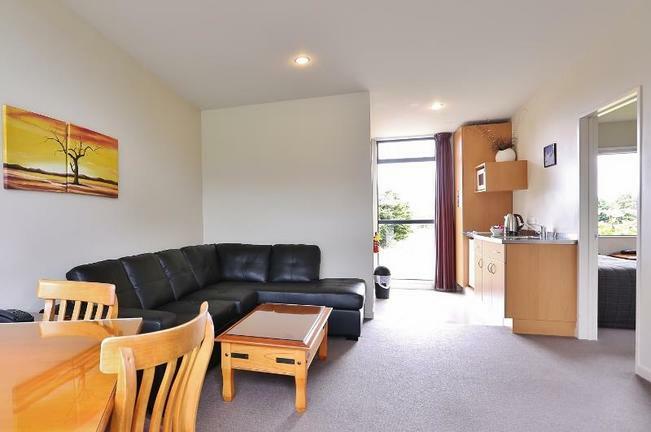 Departs/ Finishes: Marahau Base, 275 Sandy Bay-Marahau Rd, Phone: 03 5278 083 or 0800 27 82 82. 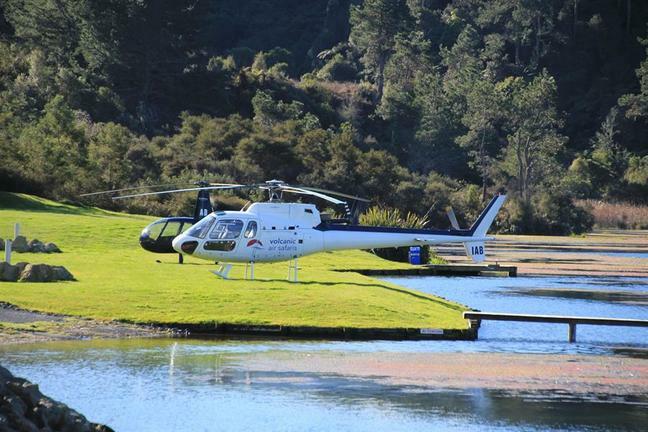 Check-in: 30 minutes prior departure at Abel Tasman Centre at Marahau Waterfront. 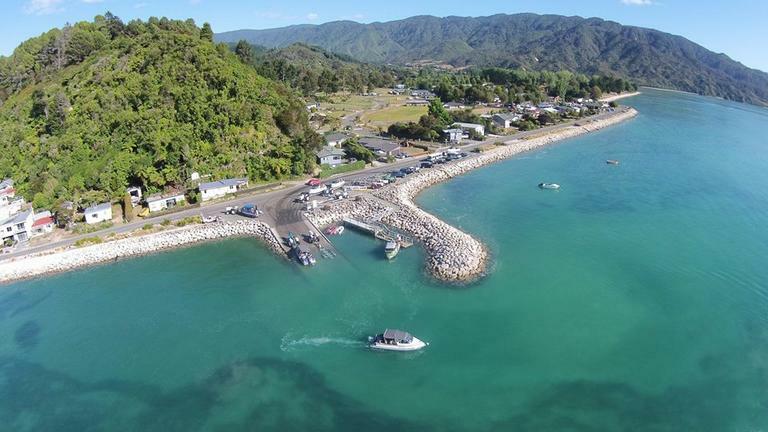 How to get there: Travel via Motueka and Riwaka to Marahau Beach by taking the Marahau exit from SH60 (not via Kaiteriteri). What to bring: Walking clothing, walks shoes, camera, insect repellent, rain jacket, required medication, sun glasses, sun screen, sun hat, swim suit, towel, warm top, water bottle, bring food for the day. A day backpack is recommended to all the above equipment. 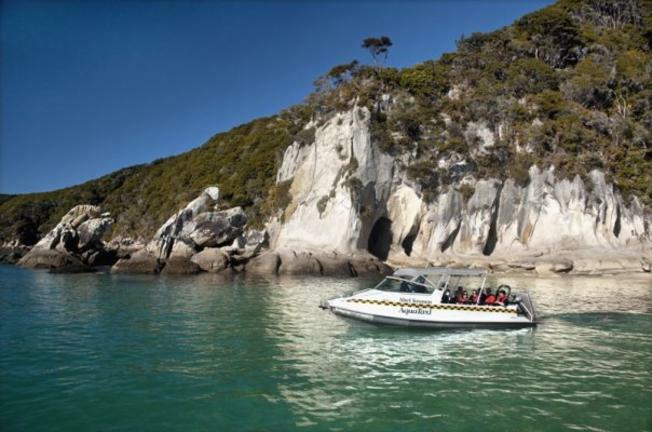 What is provided: 'Beaches & Bay' trip: 2 x water taxi rides: Marahau to Bark Bay & Anchorage to Marahau. Note: Good level of fitness required. 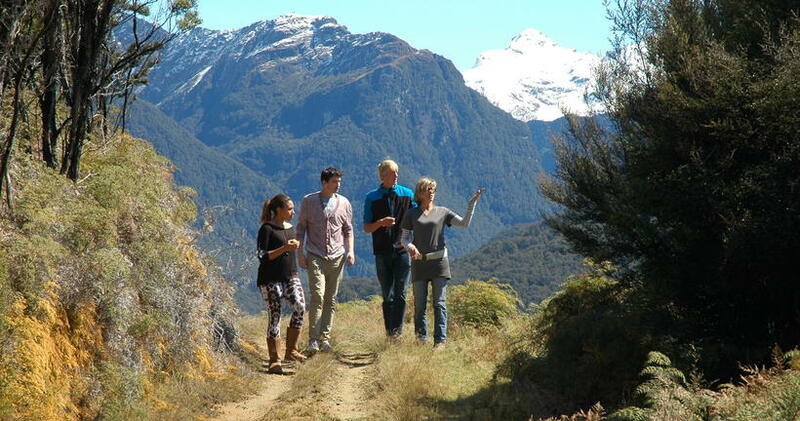 4 hours self-guided walk, approx. 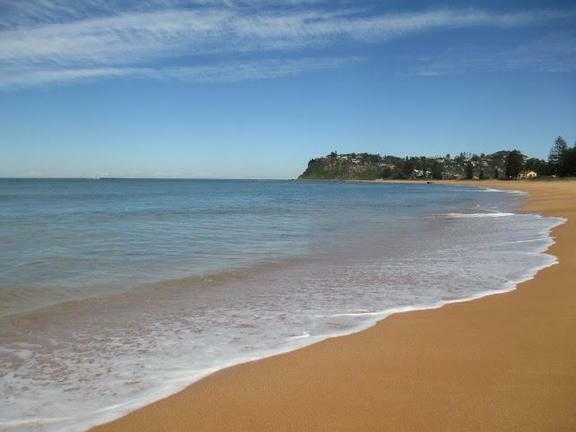 12 kms (at low tide it takes 3 hours for the 8.4 kms). Reconfirm: Please call Mitai on the morning and reconfirm. 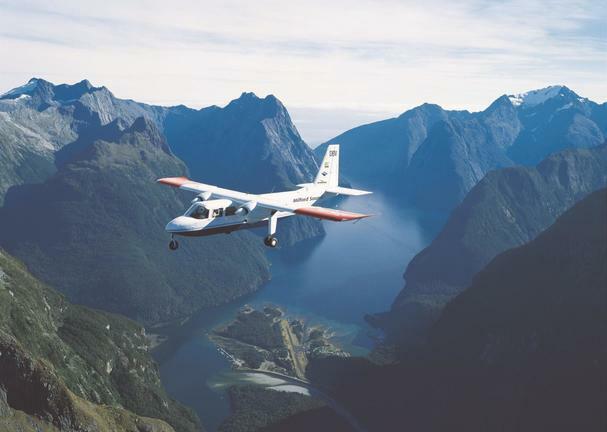 Based on the shores of Lake Rotorua, Volcanic Air offers the most comprehensive range of scenic flights and air tours in this region. 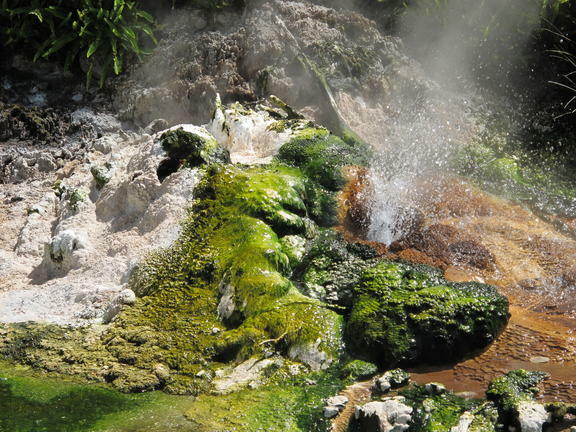 Established in 1992 and carried over 100,000 satisfied customers to experience the local volcanoes, lakes district and geothermal reserves from both the air and the ground. 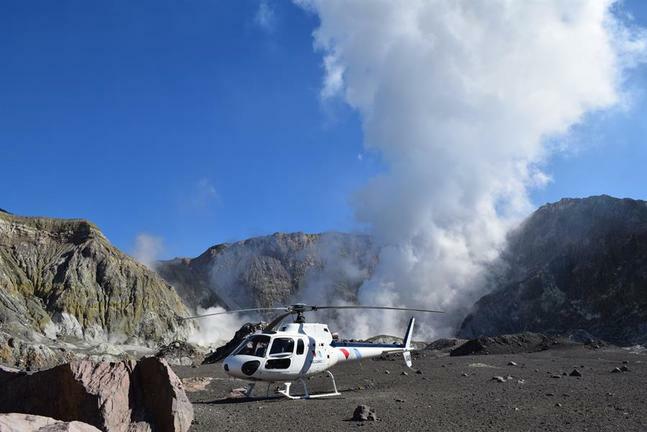 Volcanic Air operate a mixed fleet of both helicopters and Rotorua’s only floatplanes and the versatility of these aircraft allow visits remote destinations hard to reach by other means. 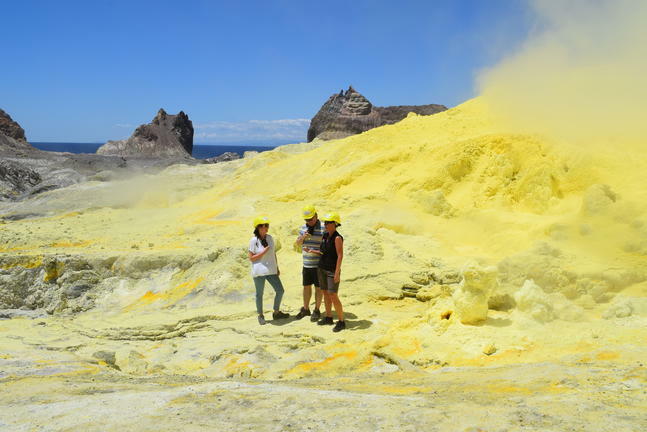 The key destinations include New Zealand’s only permanently active volcano 'White Island' where it holds one of the few concessions to explore this marvel of nature. 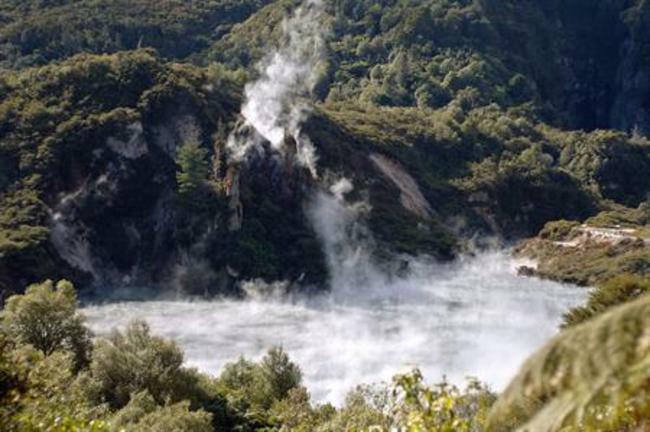 Closer to home Mount Tarawera is the site of the largest eruption in New Zealand’s living memory. 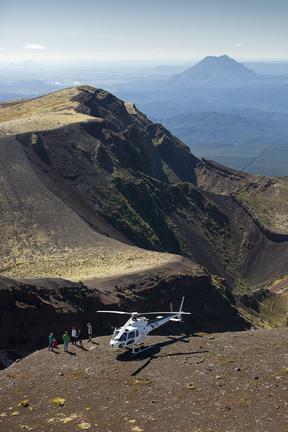 Standing on Mount Tarawera offers a privileged view of spectacular craters and domes formed by the eruption. 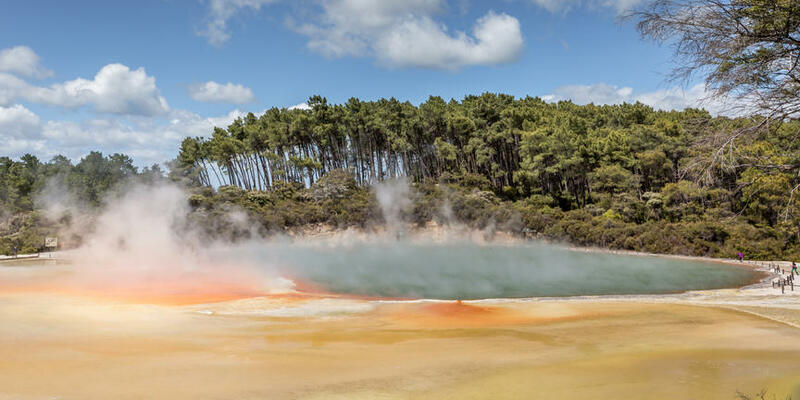 Further south at the hidden valley of Orakei Korako to experience stunning scenery and geothermal activity on the very edge of its longest river the mighty Waikato. 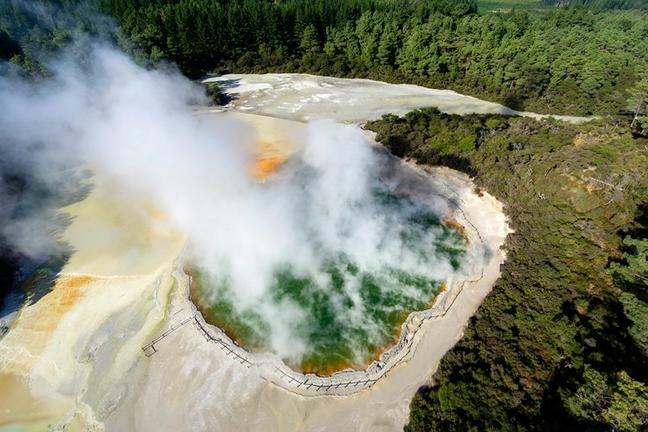 Other key highlights included in a number of our air tours are aerial views of the areas lakes district and vibrant geothermal reserves including Waimangu and Wai-O-Tapu. This region is unique and the diversity of its landscape is quite remarkable. 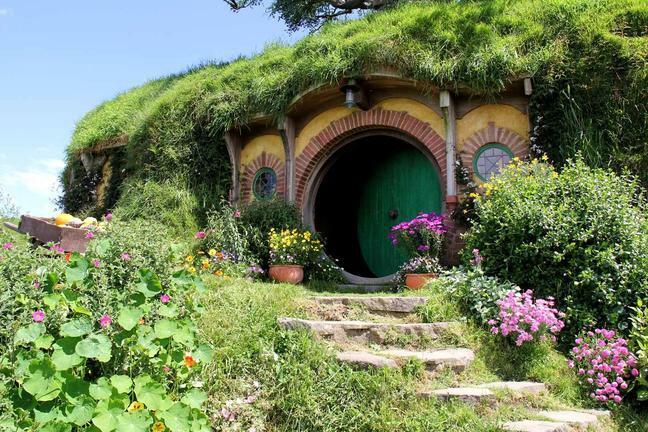 It combines spectacular scenery with informative and interesting commentaries about a region that is the cultural heart of New Zealand. 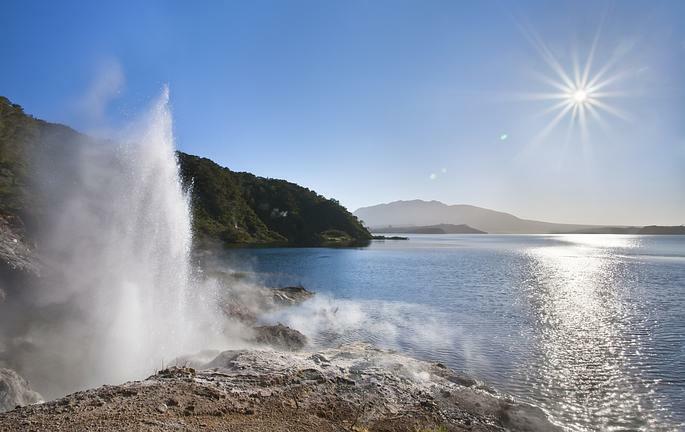 In fact this area is the birth place of tourism in New Zealand having hosted visitors since the early 1800’s to view what were considered to be the eighth wonder of the world, the Pink and White Terraces destroyed by the Mount Tarawera eruption. 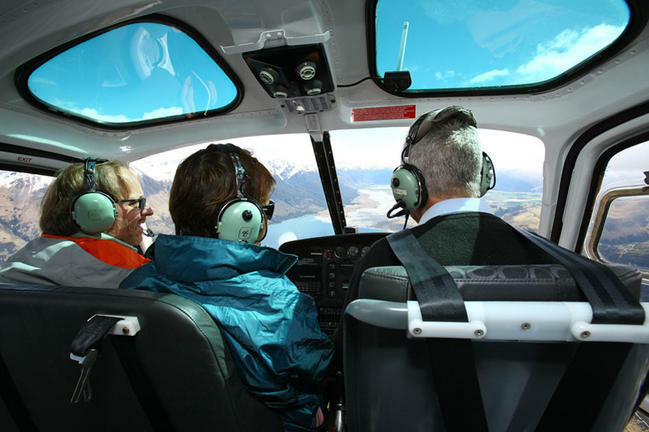 The aircraft are maintained to the highest standard and are flown by experienced pilots all whom have an intimate knowledge of the local area.Qualmark endorsed visitor activity by achieving the Qualmark Enviro Silver Award. 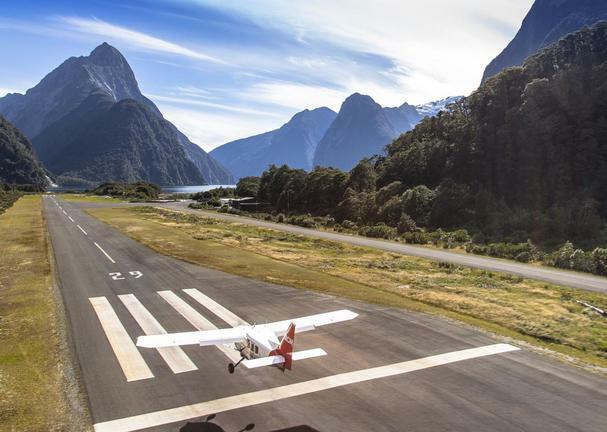 Volcanic Air is approved by the New Zealand Civil Aviation authority and independently accessed via a stringent Quality Assurance Program. 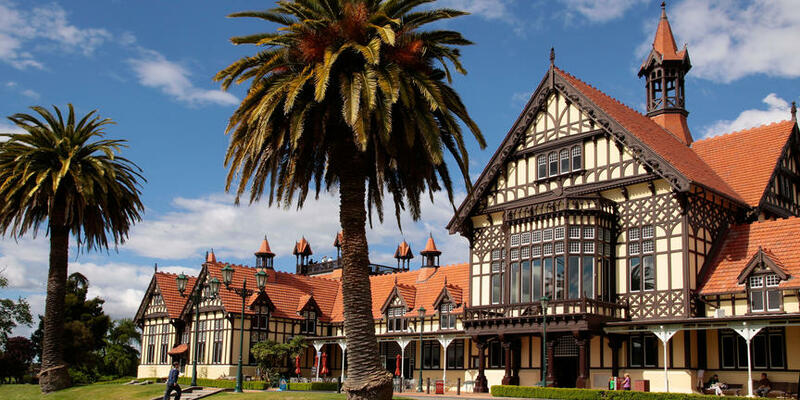 Polynesian Spa is New Zealand’s leading international day spa, providing a unique thermal spa experience on the shore of Lake Rotorua. 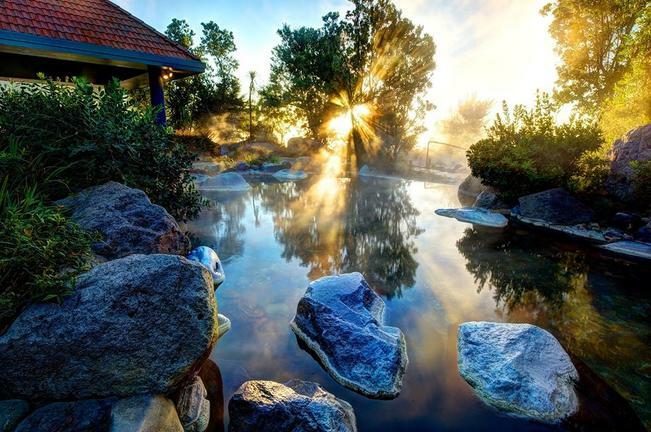 In a picturesque, tranquil setting overlooking Lake Rotorua, visitors can enjoy a wonderful fusion of relaxing hot spring pool bathing, sumptuous spa and massage therapies and picturesque lake views. Polynesian Spa is a modern spa complex offering hot mineral bathing in 26 bathing pools including both public and private pools, a family spa, a luxury spa and spa therapies. 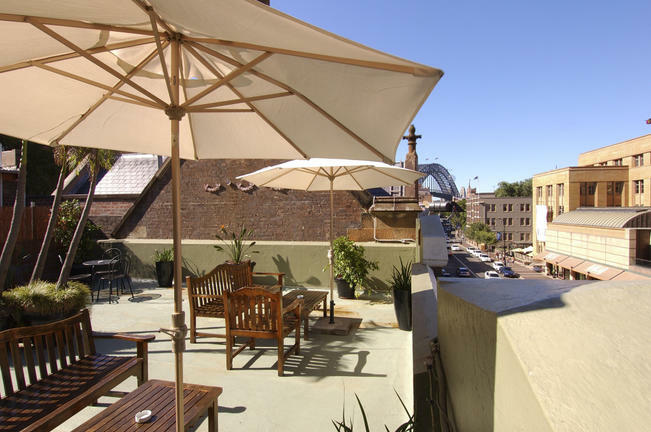 This boutique hotel’s unparalleled location near the "The Rocks" and the best of Sydney’s sights and attractions means you won’t have to travel far to Sydney Harbour, the Sydney Opera House, Circular Quay, the Sydney Harbour Bridge, plus great shopping and restaurants. 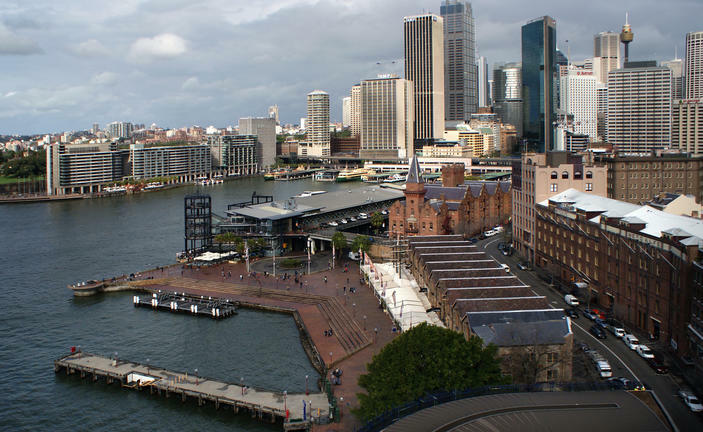 Buses, trains and ferries are all located just across the road from the hotel. 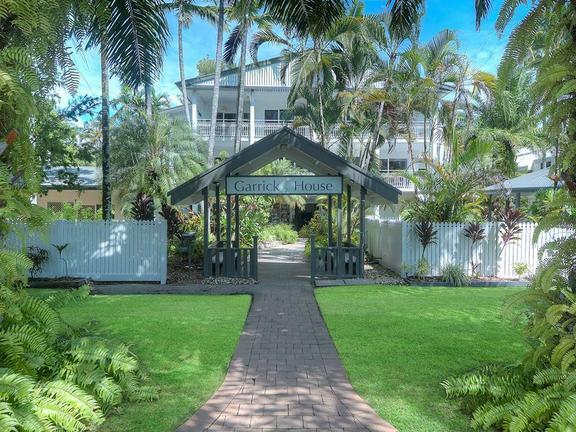 Garrick House is a comfortable and affordable accommodation ideally located just one street back from magical Four Mile Beach and a short stroll to Macrossan Street. 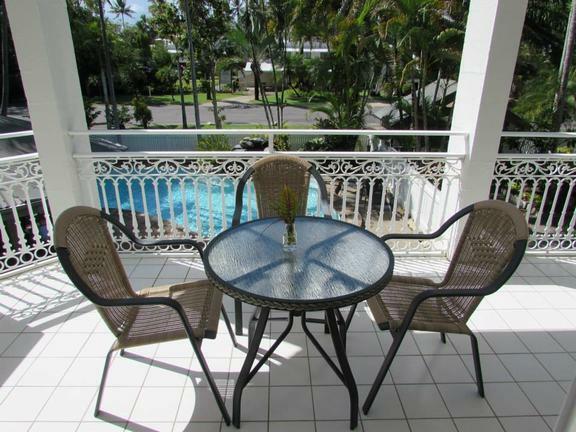 Accommodation includes deluxe studio, one and two-bedroom apartments all equipped with full kitchens and laundry facilities. Free guest Wi-Fi in reception/pool areas, an outdoor swimming pool and complimentary undercover parking. 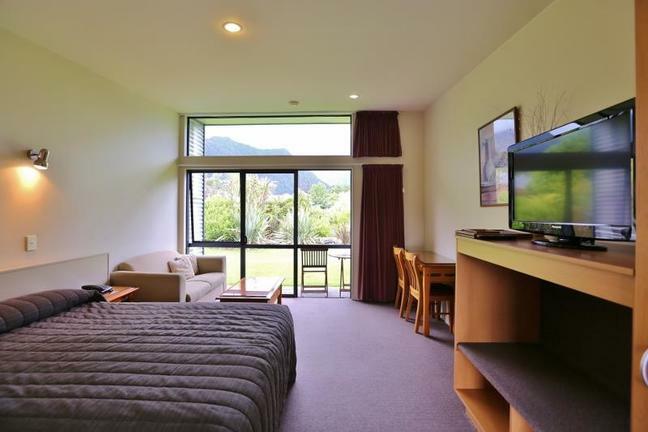 Sunset Motel is just a short stroll from the Fox Glacier village. 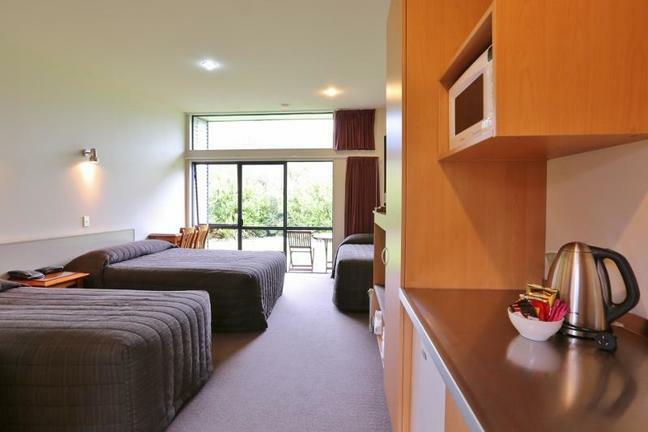 Set in tranquil farmland, all units have full glass frontages to allow for unimpeded views of Mount Cook and the rugged Southern Alps. 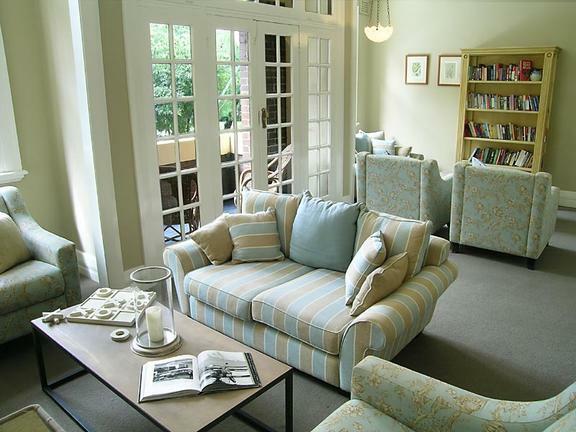 There are 25 spacious ground floor units. 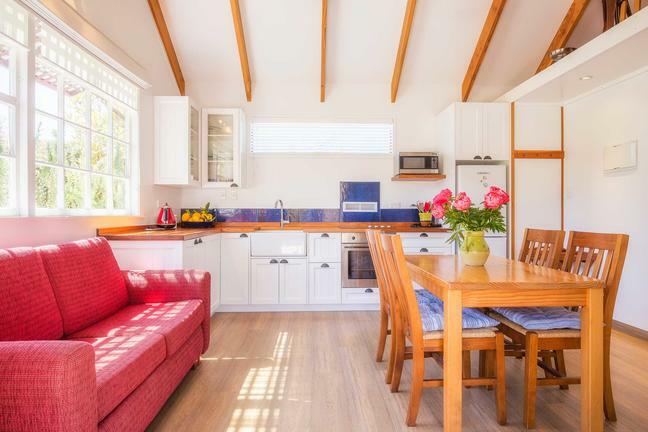 All feature a kitchenette, some offer a spa bath. 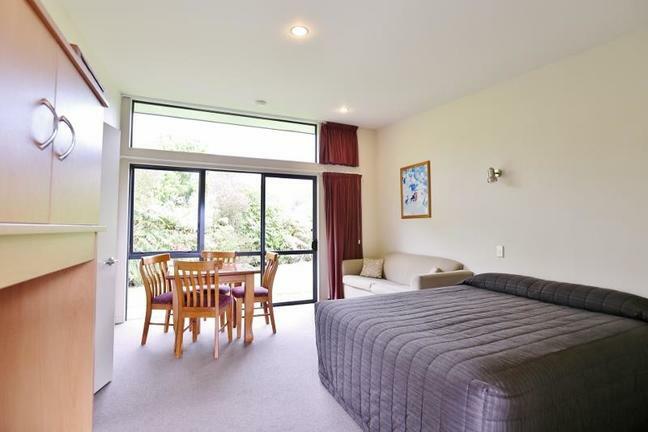 Each unit offers outdoor furniture setting on a courtyard patio which offers views of the Southern Alps and magnificent sunsets. 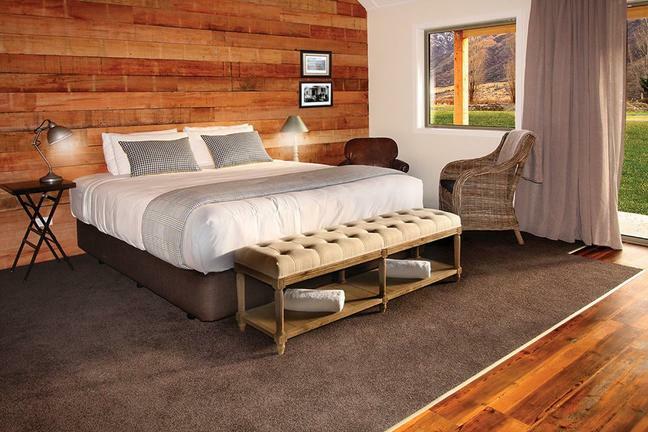 Sunset Motel is less than 1 km to centre of the Fox Glacier village, which hosts award winning cafes, restaurants and bars. Continental breakfast is available on-site. 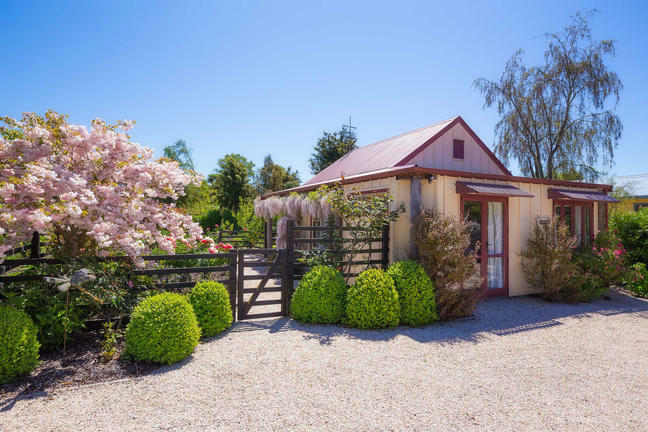 Built in 1902, the spacious Oak Lodge farmhouse has been renovated to provide comfortable facilities for a relaxing stay. 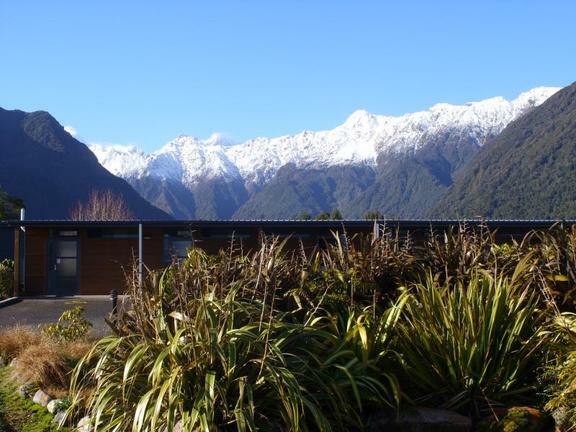 It is situated only 3 kilometers away from Greymouth. 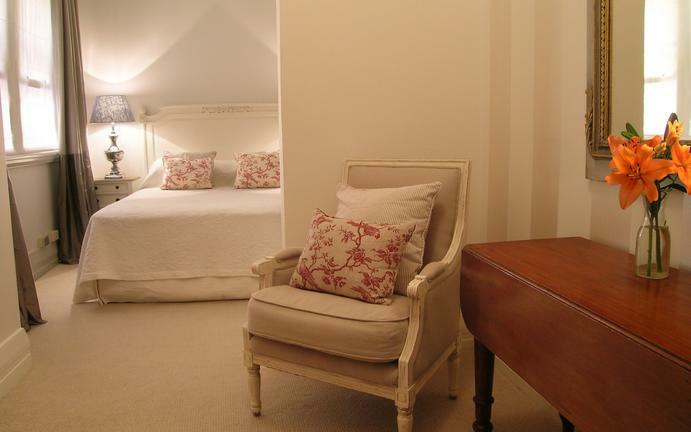 The lodge offers 5 rooms, all on the second floor with super king, twin and queen beds. 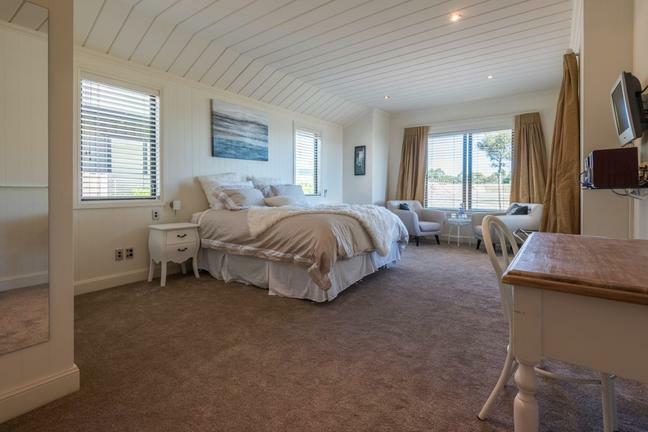 Four rooms feature en suite bathrooms and one has a private bath and shower just across the hall. 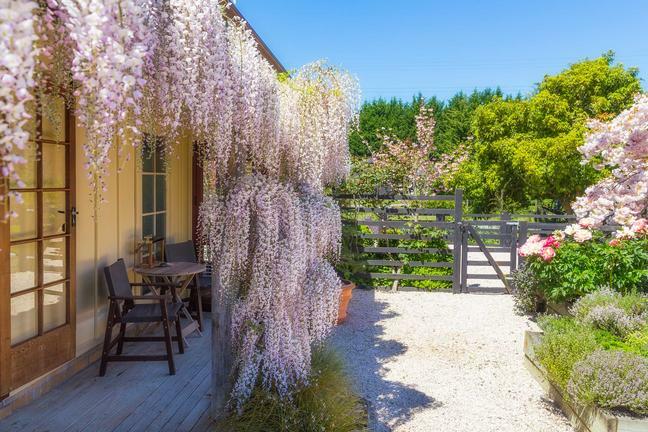 Beautiful self-catering cottage situated in a half acre garden filled with roses, paeonies, lavenders, fruit trees, large vegetable garden and abundant bird life. The cottage has its own entrance and drive well separated from the house for privacy. The garden area is yours to wander in while you stay. 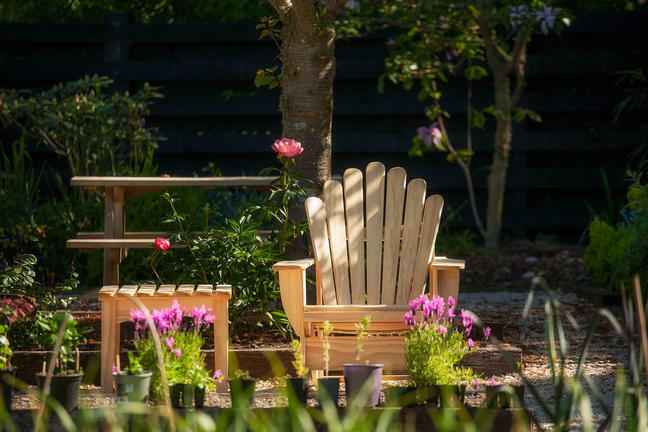 Cape Cod chairs, outdoor tables, benches and umbrellas are provided for you. Gas BBQ and grill for outdoor suppers on summer evenings. 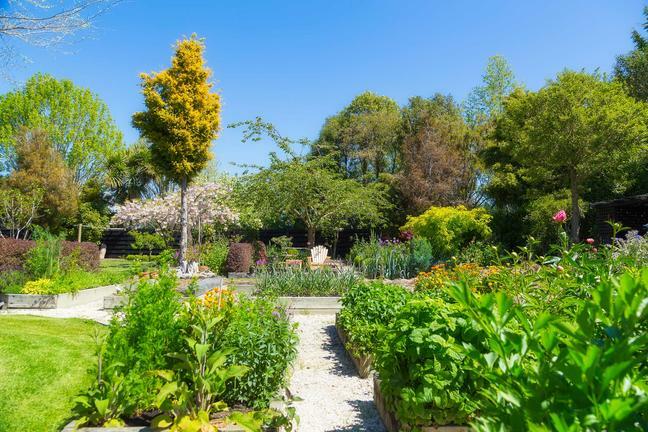 Maria and Cameron's garden has been 18 years in the making - but you get the chance to enjoy it and its produce! Vegetable beds, fruit trees, roses, paeonies, lavender and lots of seasonal colour. 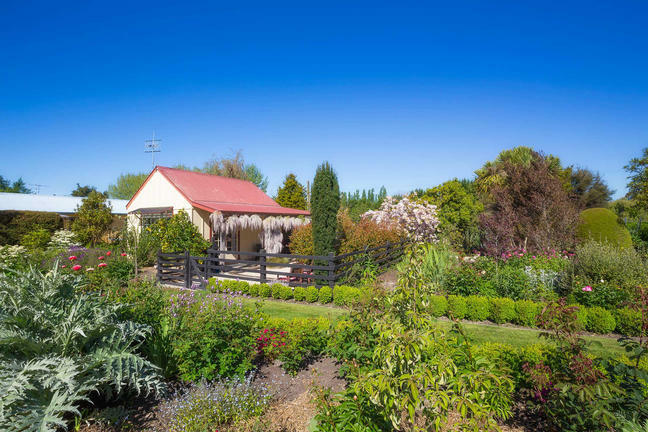 Flemington Lake View B&B offers luxury bed and breakfast accommodation with magnificent views of the Lake Rotorua and the beautiful Mokoia Island. 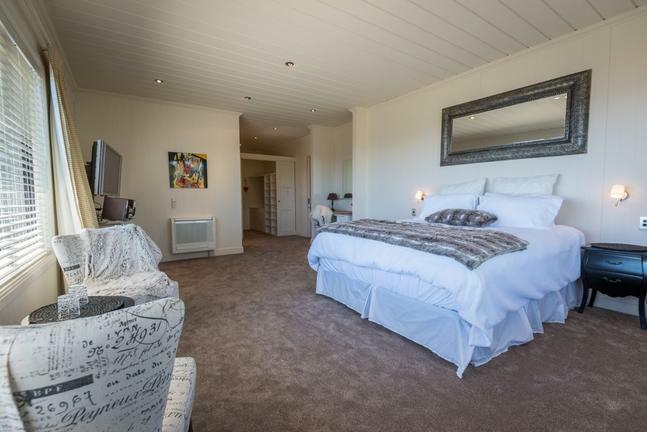 The property features a variety of guest rooms and suites, each equipped with a TV, a stereo, a DVD player, a fan, a mini fridge, a heater, and an ensuite bathroom. Other amenities offered include free internet access, a recreation room, a sauna and an outdoor deck area with furniture. 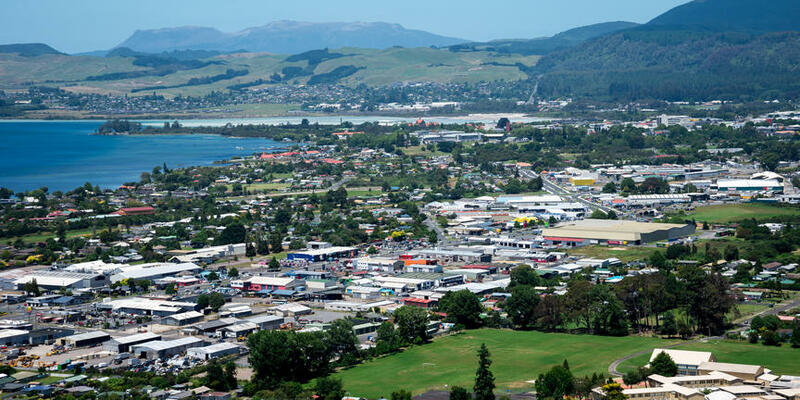 Dinner options for Rotorua: as Flemington is 15 minutes outside Rotorua you might want to have dinner before arrival. 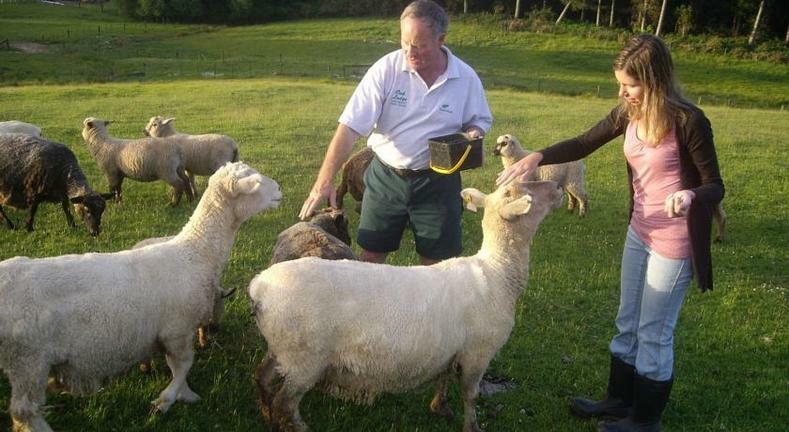 If so, please call your host Curly on 027-325 2856 to advise an approx. arrival time. 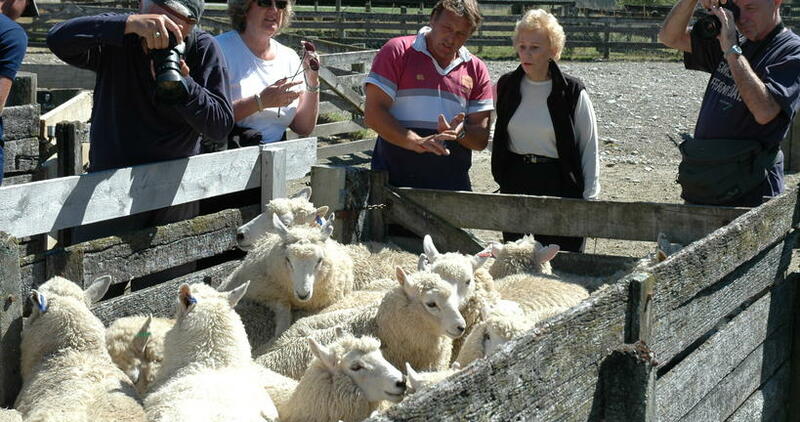 Travellers visiting the Pacific often combine Australia and New Zealand in their travel itinerary. 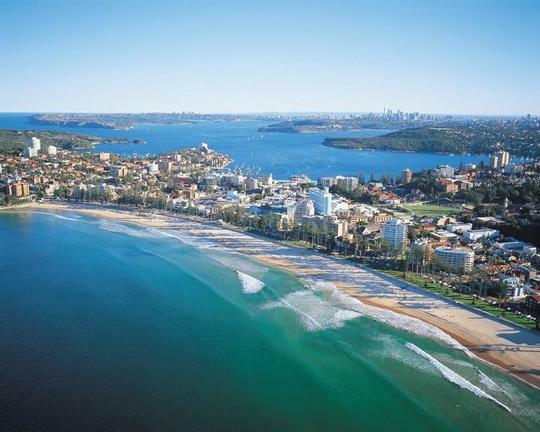 Distances in Australia are vast so we recommend the use of domestic flights between key locations. When travelling Australia and New Zealand, be aware that the weather and seasons for these areas are very different to each other. 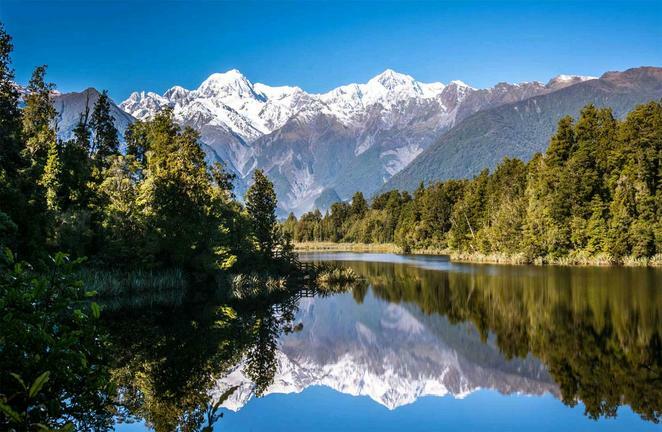 This Australia New Zealand in 2 weeks combination travel package can be changed with difference dates, locations and accommodation standards. Also, tours can be added or taken out. 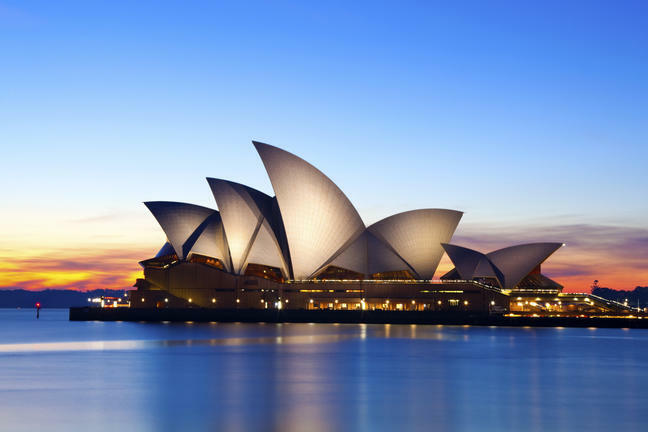 Check out Sydney's Bondi Beach, snorkelling the Great Barrier Reef, explore NZ's glaciers and Abel Tasman's wildlife in their natural habitat. 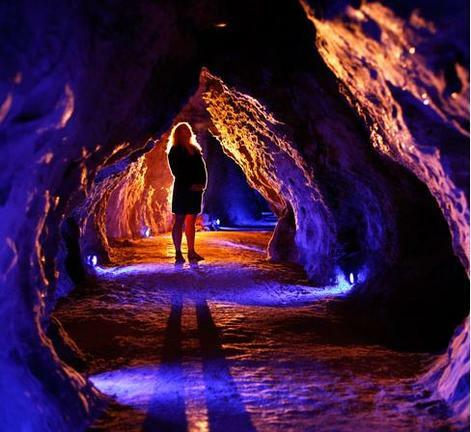 Experienced travellers will love this itinerary! Step 1: Review this Itinerary – 'Mix & Match' service options later on. Step 2: Select a Price Options – review your travel choices. Step 3: Get a Free Quote + ‘Mix & Match’ service options. 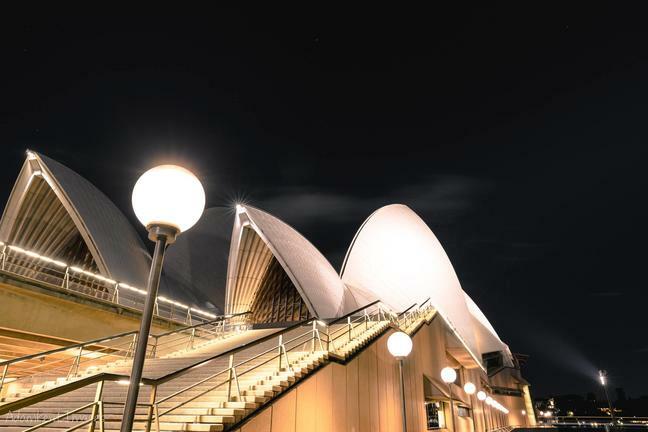 Sydney is one of the most sought after destinations in Australia - the harbour views of this city are some of the best in the world - the dining is world class. 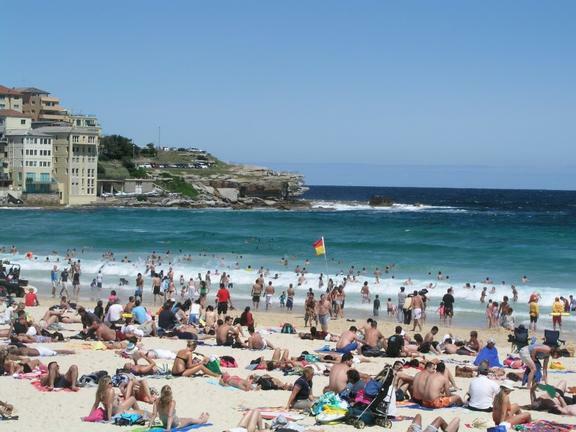 However, Sydney is also famous for golden beaches and a very energetic nightlife. 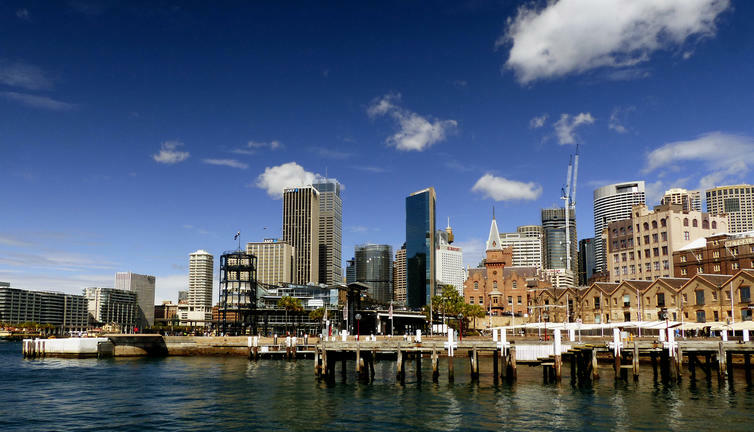 A guided tour around Sydney is a great introduction to this beautiful city. 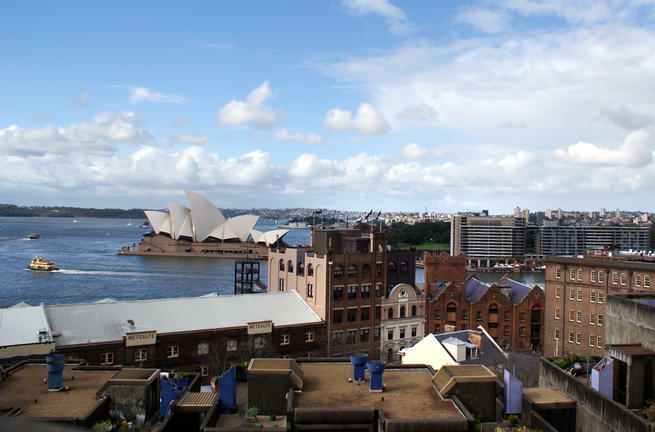 Check out the historic Rocks precinct, visit the first church in Australia, the Observatory and the convict built cottages. 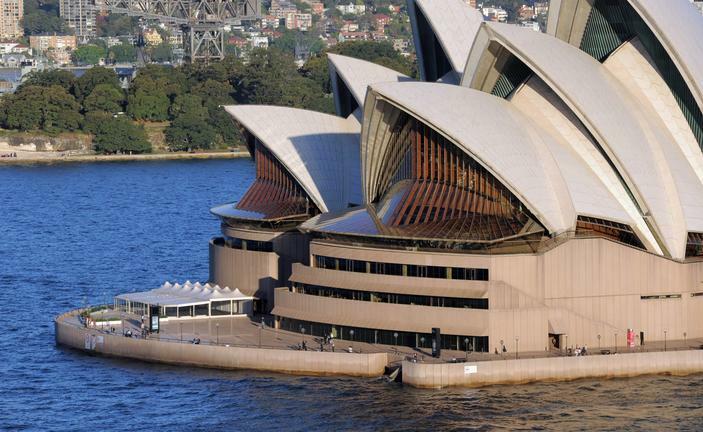 Travel around Circular Quay, see the magnificent Sydney Opera House. 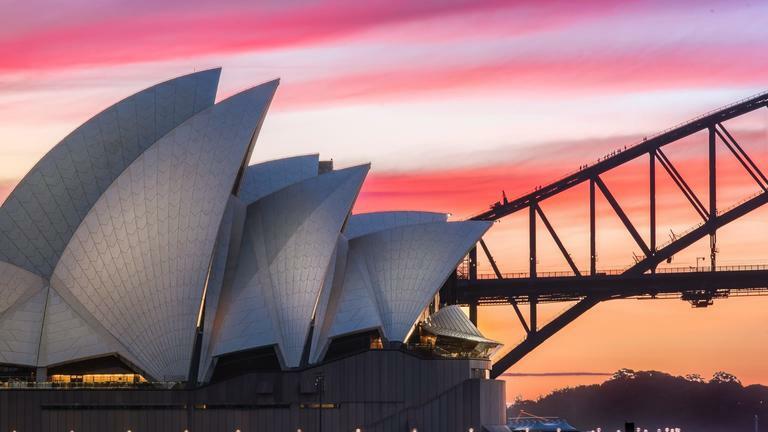 Take your time exploring the gorgeous Botanical Gardens - don't forget to sit on Mrs Macquarie’s chair - the views are sublime. Now for a dramatic change of scenery! 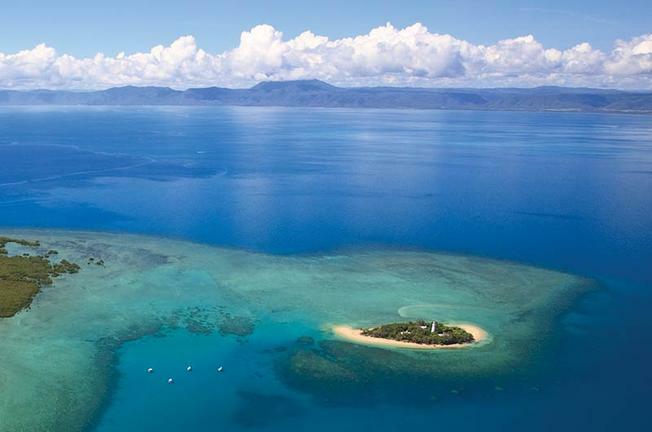 Transfer back to Sydney Airport for a domestic flight direct to Cairns. 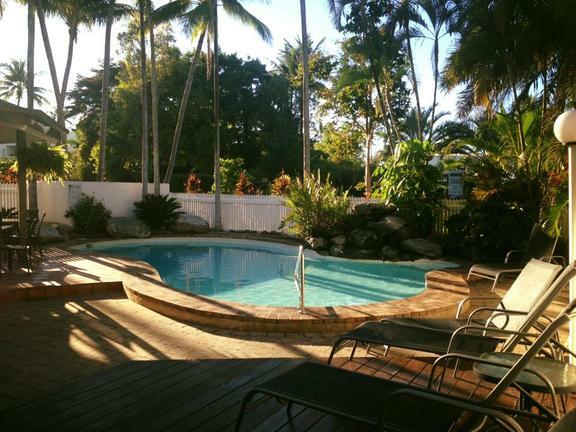 From Cairns, take another transfer to the Port Douglas area - a one hour's drive.. Time to enjoy a stay in the tropical holiday town of Port Douglas. 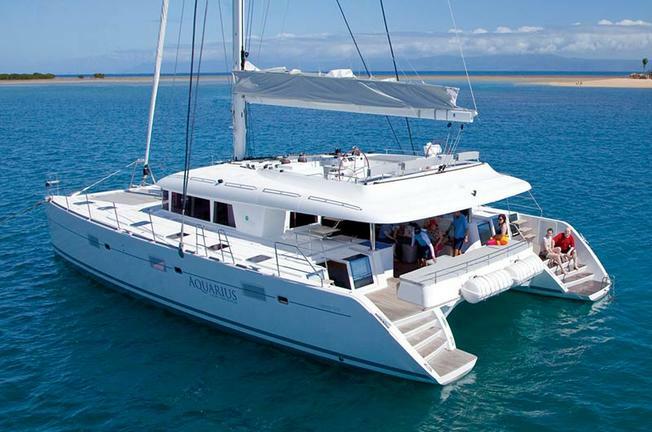 Sail away to the Great Barrier Reef in the luxury Aquarius Catamaran. 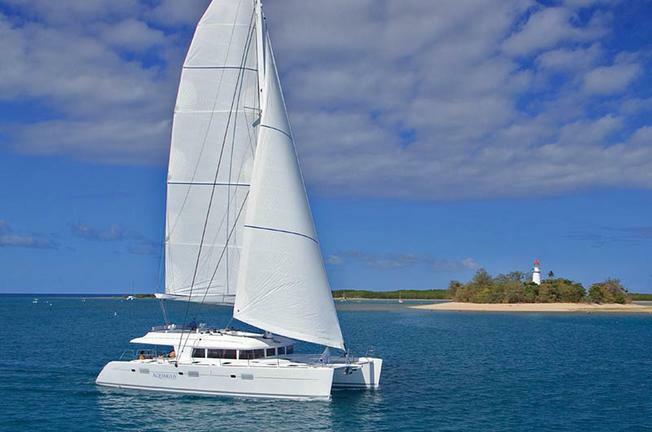 The Aquarius is a dedicated snorkel-only vessel with a very personalized level of service. Cruise to the stunning tropical Low Isles. 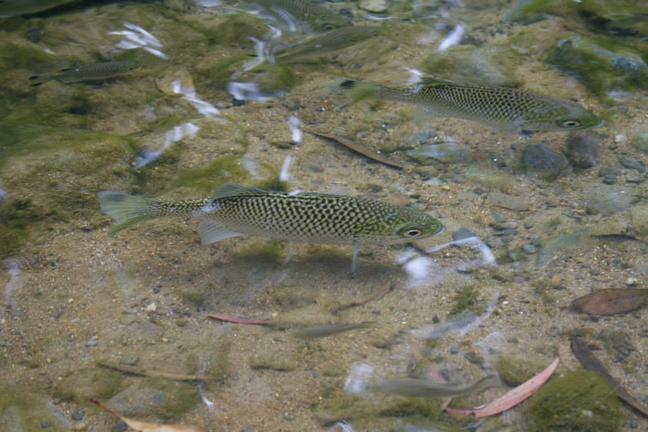 The marine life here is colourful and plentiful. 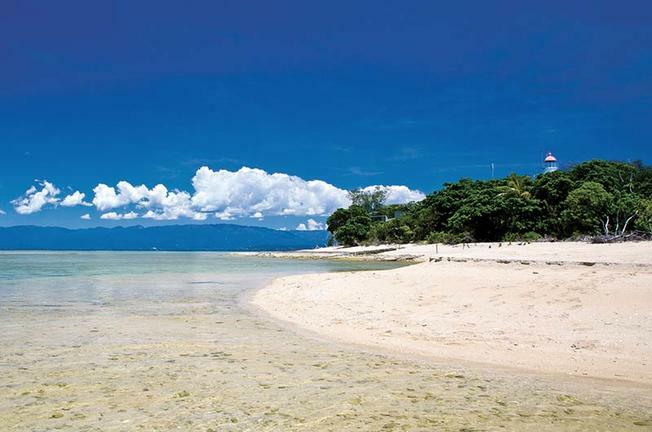 Swim and snorkel in the playground of green turtles, parrot fish and fusiliers. Enjoy a special tropical fruit and seafood gourmet lunch on-board the Aquarius. 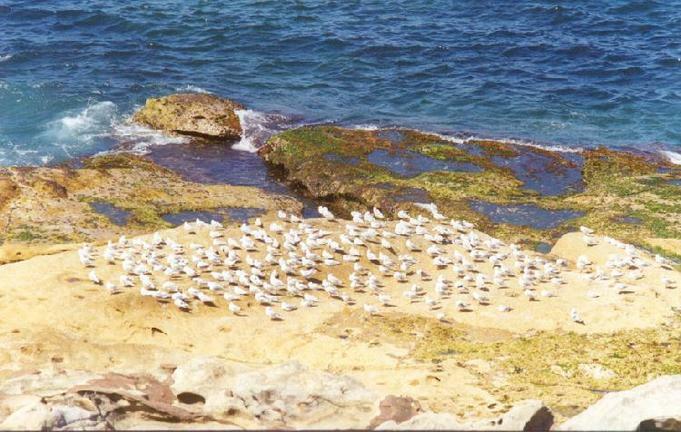 Take a complimentary guided stroll around the island to learn of its history and environment. Relax on the return trip back to Port Douglas. 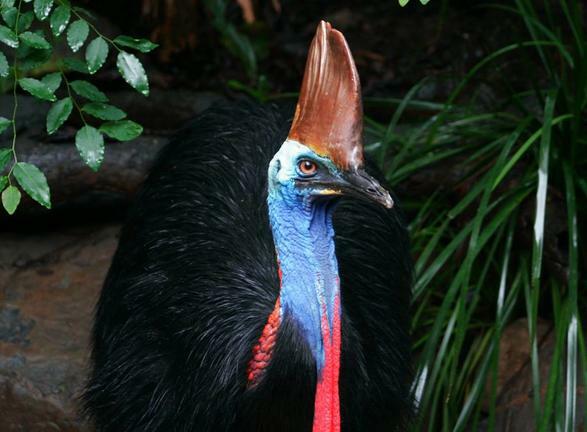 Enjoy a tour of the Daintree National Park, a World Heritage listed forest region. 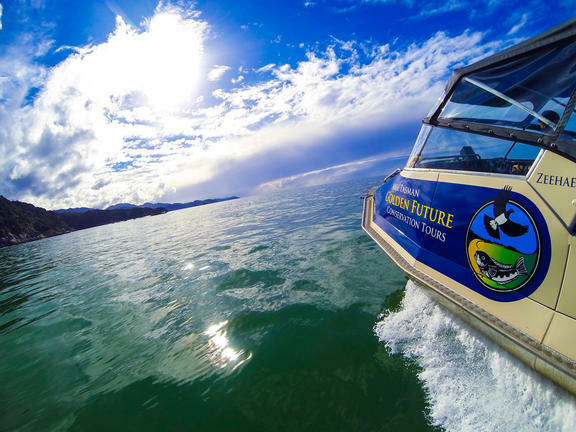 Step aboard a purpose built craft for a cruise on the calm waters of the Daintree River. 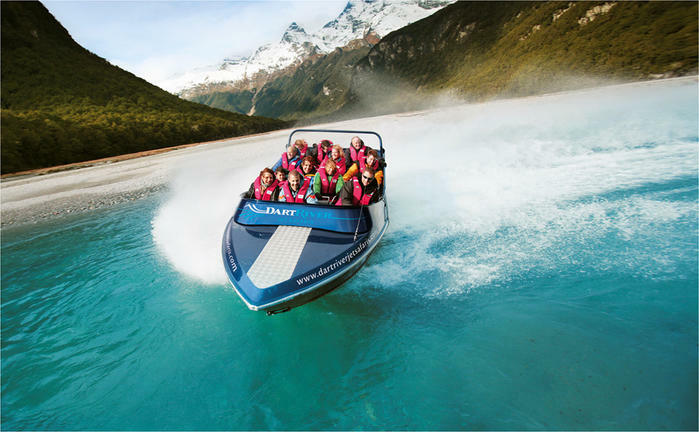 Cruise by riverbanks close enough to enjoy the overhead canopy of the rainforest. 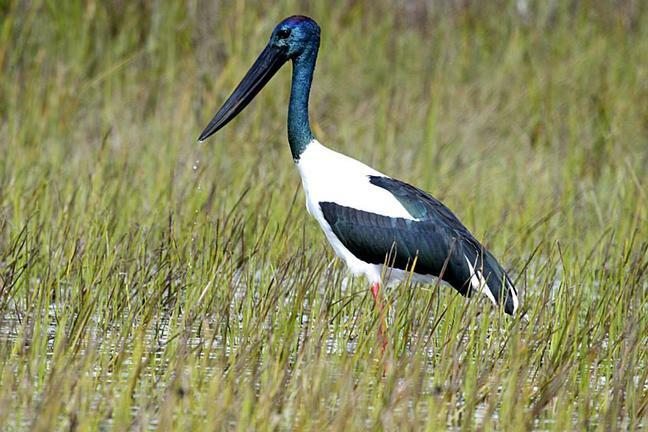 See if you can spot the vivid Ulysses Butterfly, Kingfishers and other wildlife. 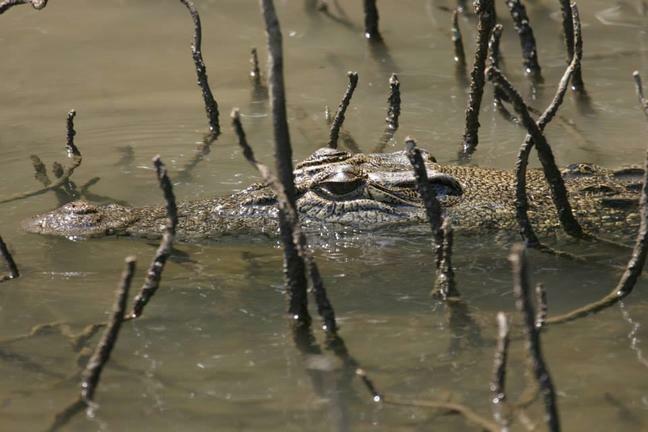 Get your camera ready for those magnificent crocodiles basking in the sun. 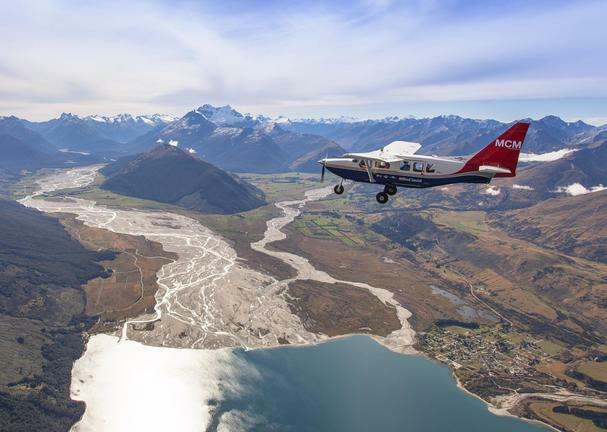 Fly to Queenstown, the adventure capital of New Zealand. Either collect a rental car or be met by a driver at the arrival hall for transfer to your accommodation. 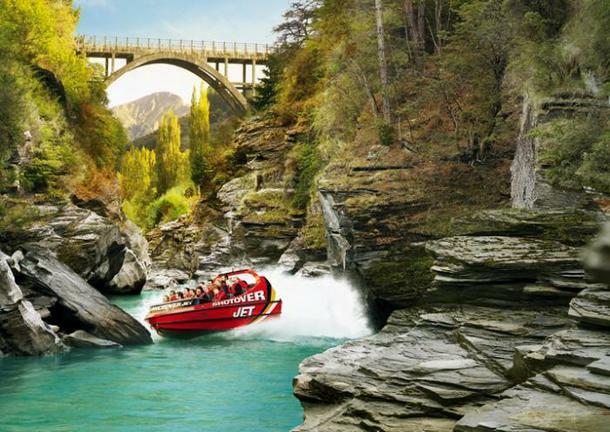 Queenstown provides every variety of adventure imaginable - para-gliding, jetboating, bungy jumping and more. 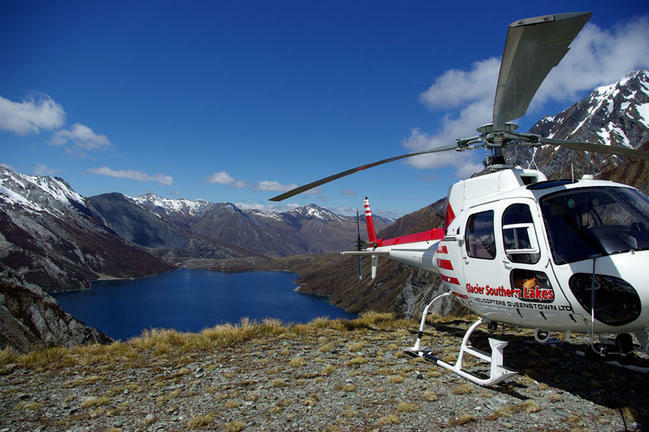 Take in the sights of the majestic mountains surrounding Queenstown. 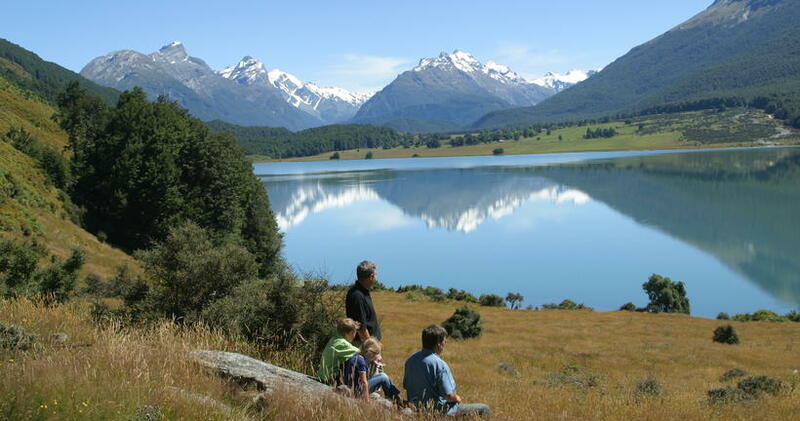 Enjoy a walk on the shores of Lake Wakatipu - the scenery is stunning! 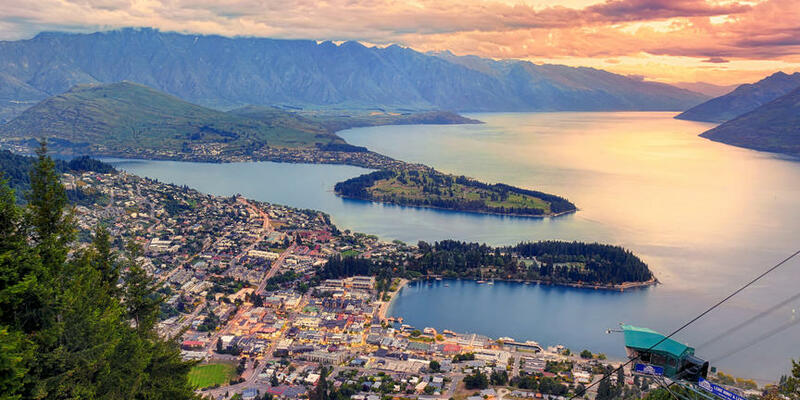 Queenstown provides the perfect combo of sophisticated dining, shopping and adventure. 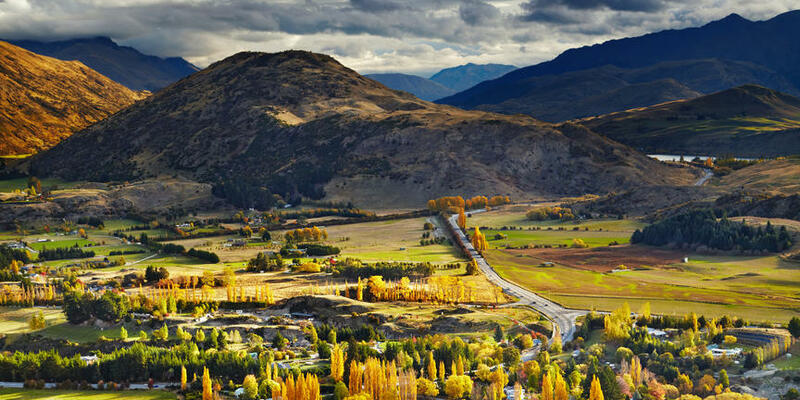 Explore the Queenstown region today. 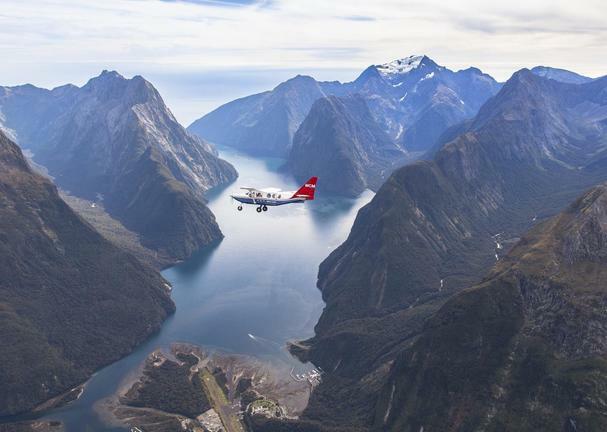 Depending on the weather, you could also take a scenic flight to Milford Sound which includes a cruise in the fjord. 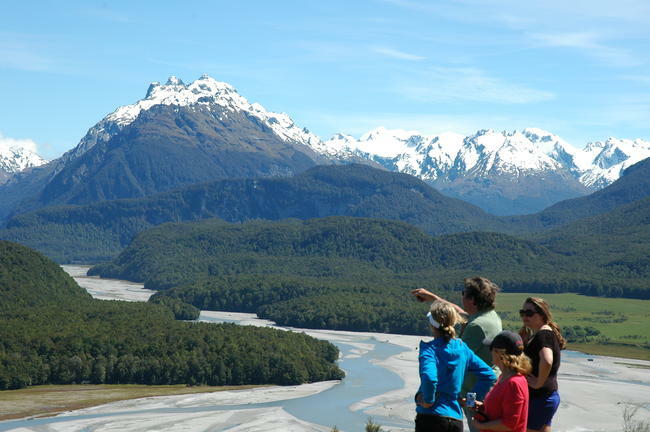 Take a 5.5 hour drive to Fox Glacier (or Franz Josef Glacier) via Wanaka and Haast Pass. 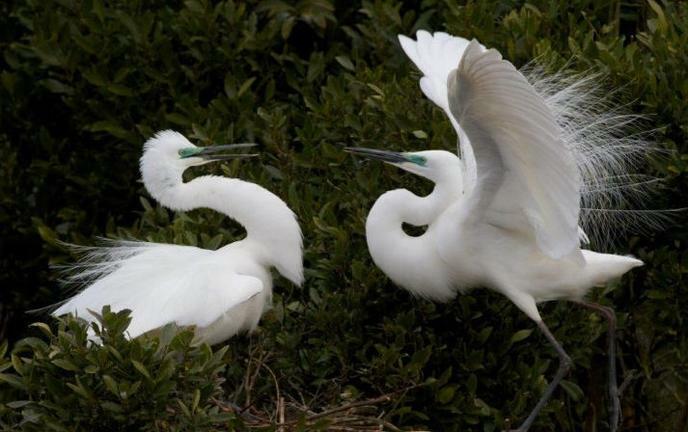 Take plenty of breaks by stopping at key scenic sites on the way. 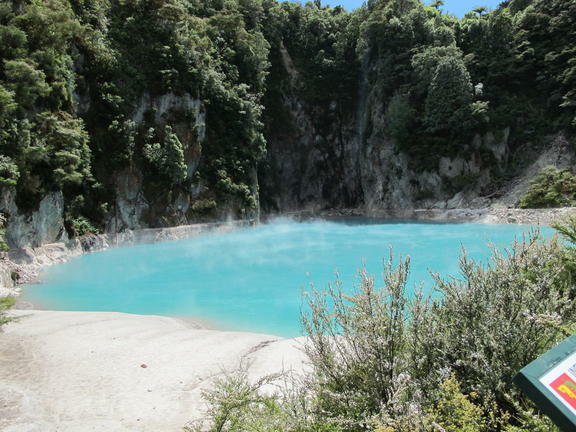 Enjoy a short walk to the lovely ‘Blue Pools’ near Makarora. 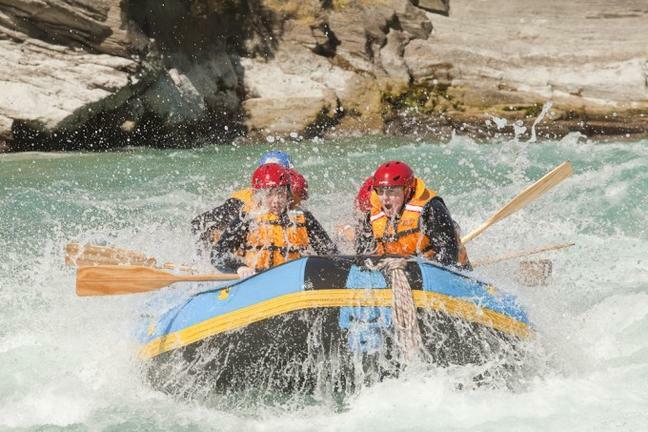 Visit the Twin Falls just before you get to Haast Pass. 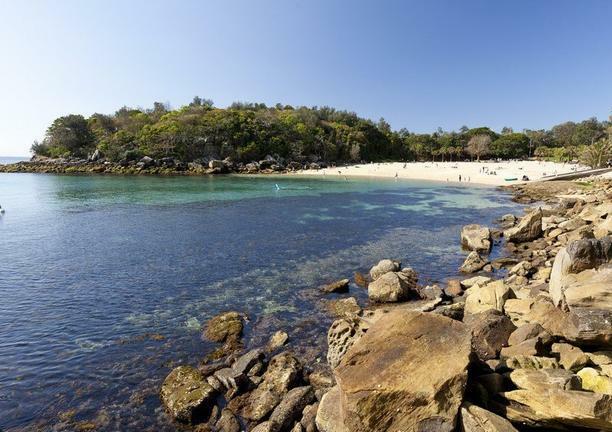 The ‘Shipwreck Cove’ walk is a definite must-do. 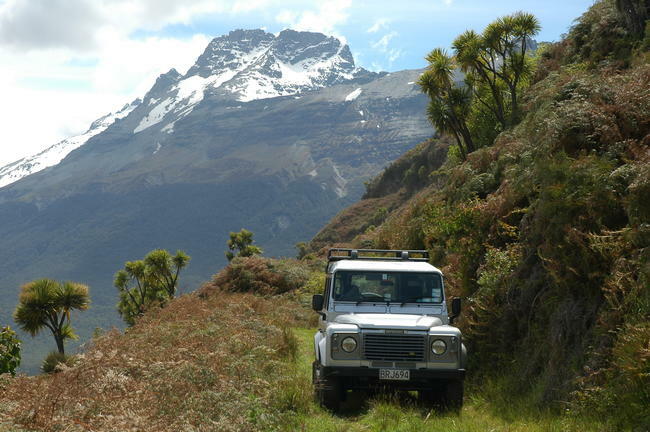 In fact, you'll be travelling on one of the most scenic roads in New Zealand. Arrive in the Fox township by late afternoon - plenty of time for refreshing walk. 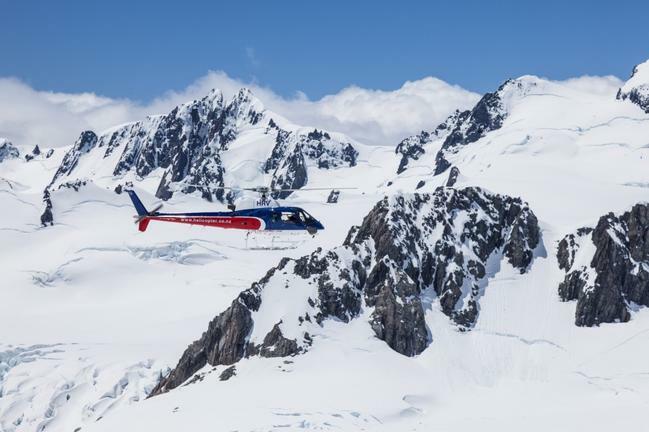 Stay for 2 nights in Fox village to explore the glacier and other attractions. The West Coast region is one of the most sparsely populated parts of the country. 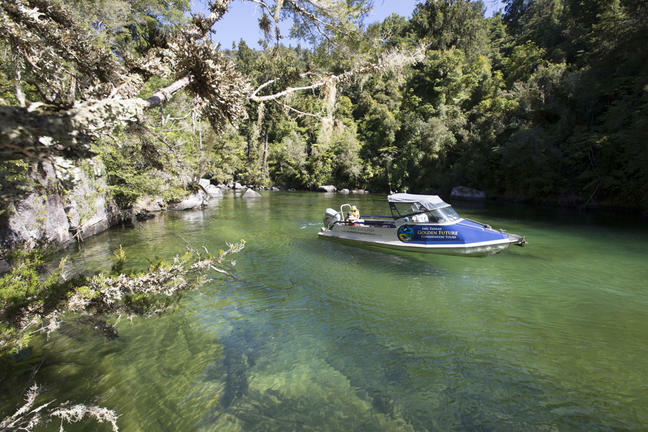 In fact, there are very few towns on the 600 kms of coastal road between Karamea and Jackson Bay, However this area is visually quite stunning, with native forest and beaches. 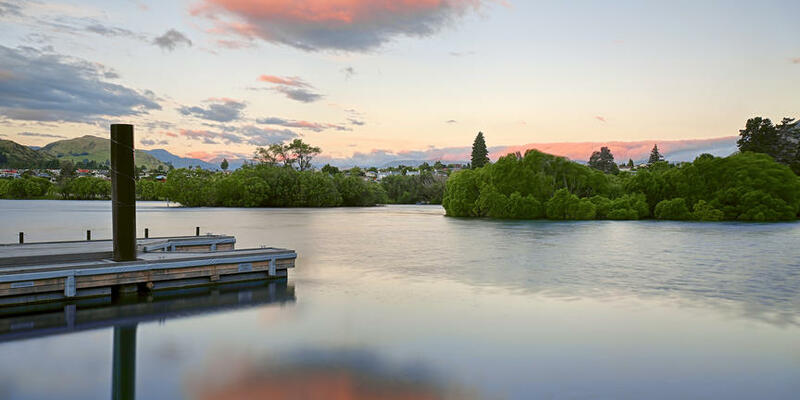 At Ross, stop at the goldfield walkway and have a picnic by the shores of Lake Ianthe. 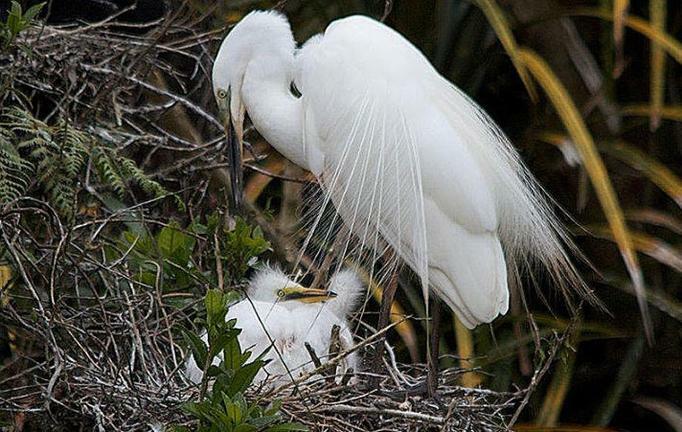 A visit to the White Heron colony near Whataroa is highly recommended. 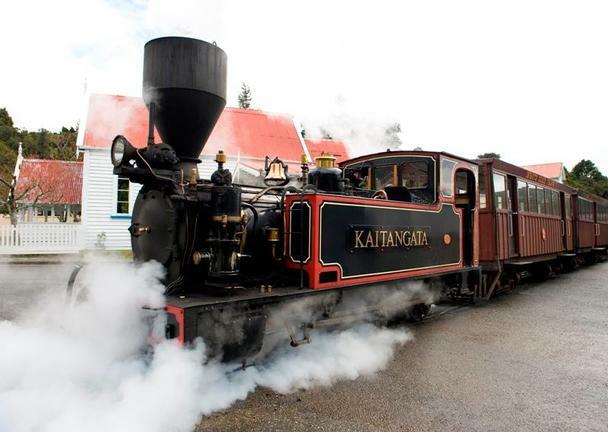 Have a coffee at the town of Hokitika - visit the local museum to see the historic slideshow. 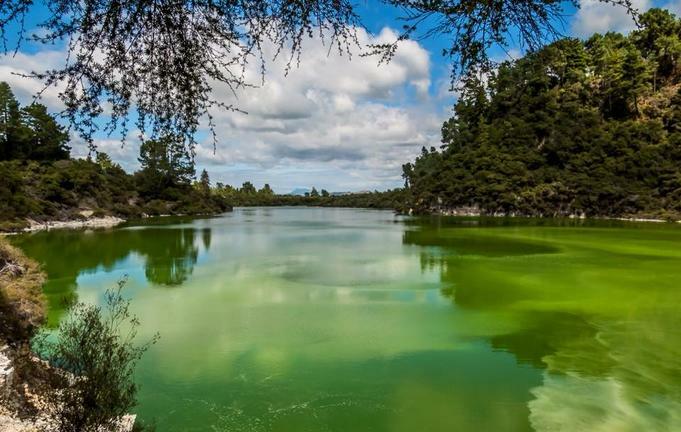 Hokitika is famous for New Zealand Pounamu (Jade) and the gold rush from 1860-80. 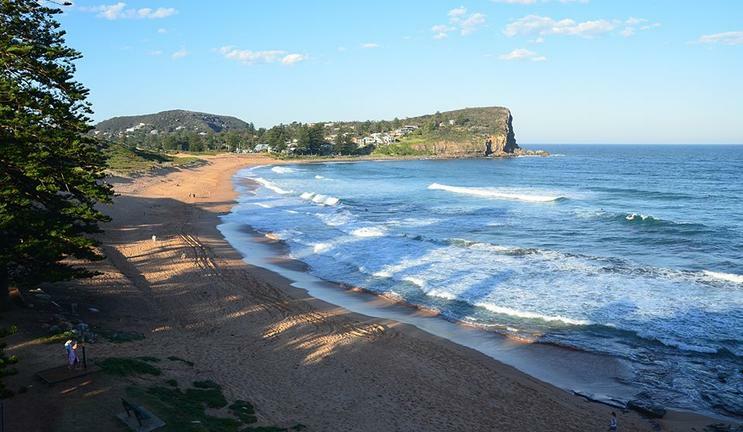 The Great Coast Road is Lonely Planet’s Top 10 Coastal Drives in the world. 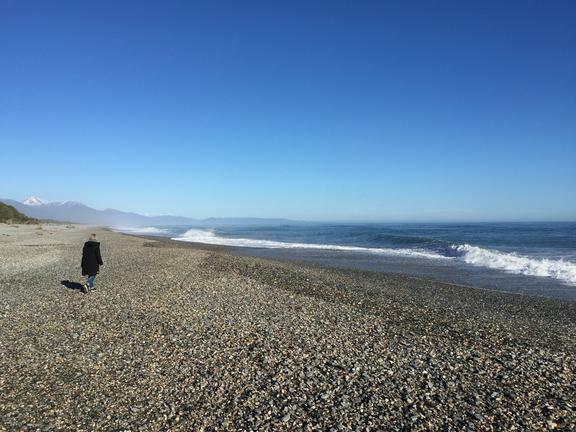 This area serves to connect Greymouth and Westport. 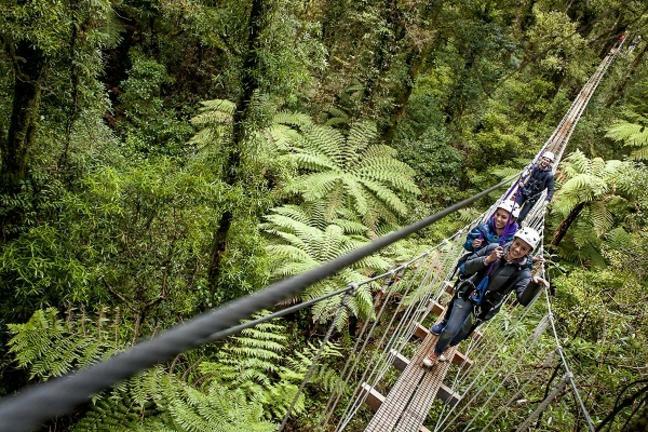 Travel along the Paparoa National Park, home to the world's smallest penguin. 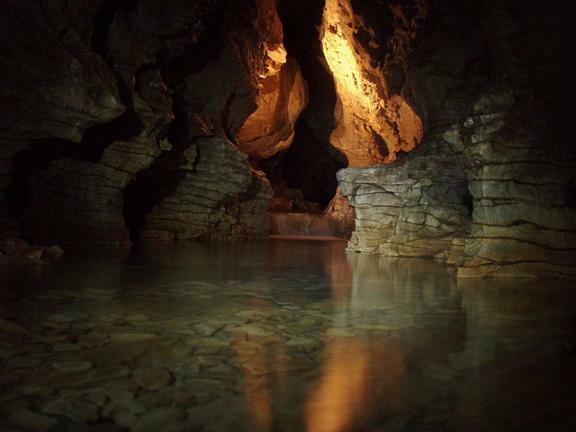 Try your hand at underground rafting at Charleston or go caving at Fox River. 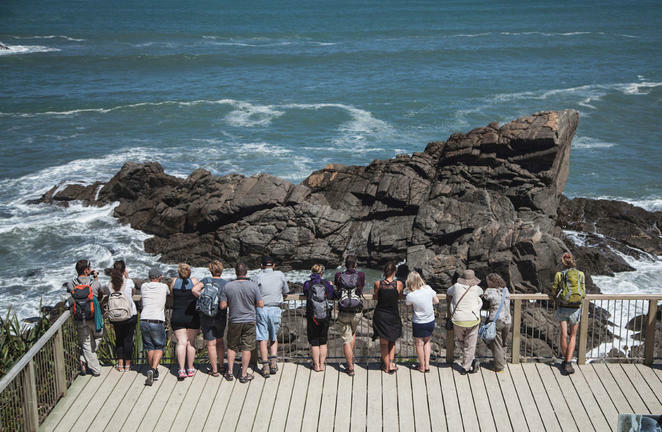 Visit the famous Pancake Rocks and Blowholes at Punakaiki. 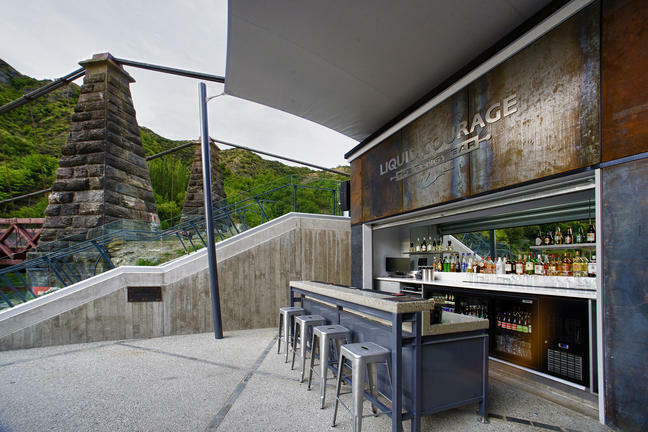 Highway 6 will take you through the dramatic Buller Gorge. 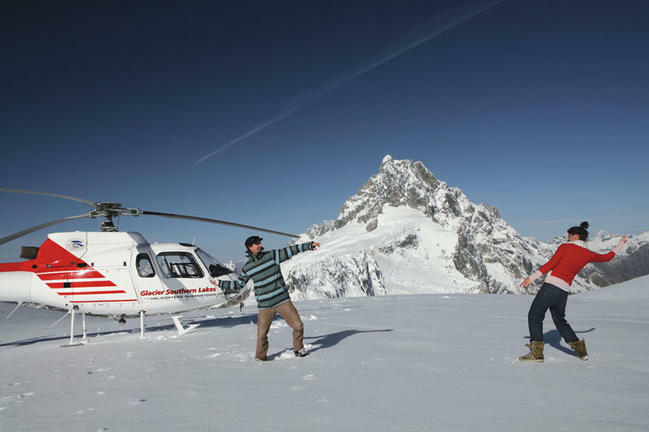 This section of the trip is crammed with great photo opportunities - remember to use the correct pullover area. 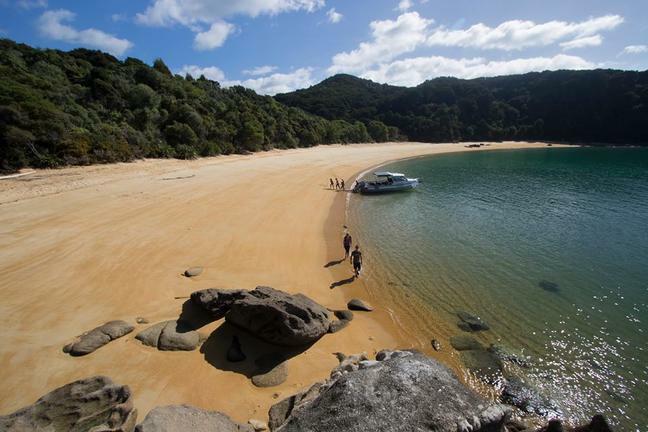 New Zealand's smallest National park, the Abel Tasman, is located in the Nelson-Tasman region. 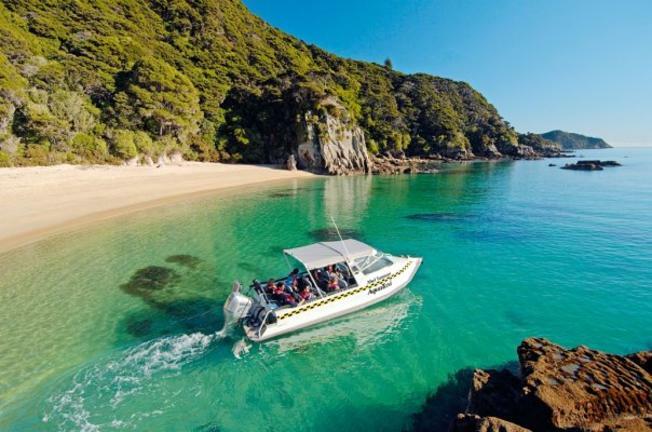 Golden beaches sit within sheltered coves - sparkling green waters stretch from Kaiteriteri to Collingwood in the Golden Bay. 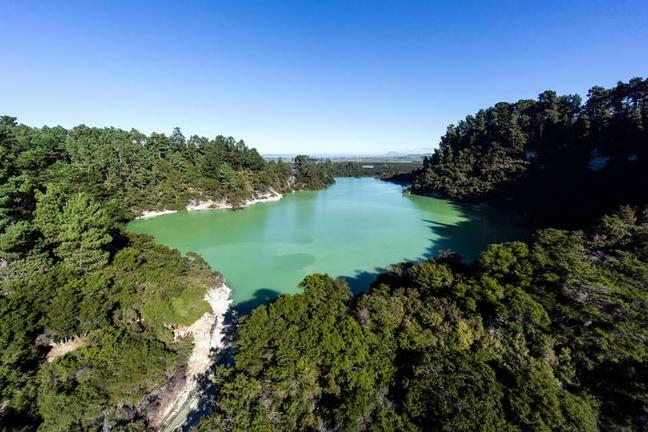 No visit to this region is complete without a walk along the beautiful coastal track of the Abel Tasman National park. Remember to bring a few supplies and suitable hiking gear. 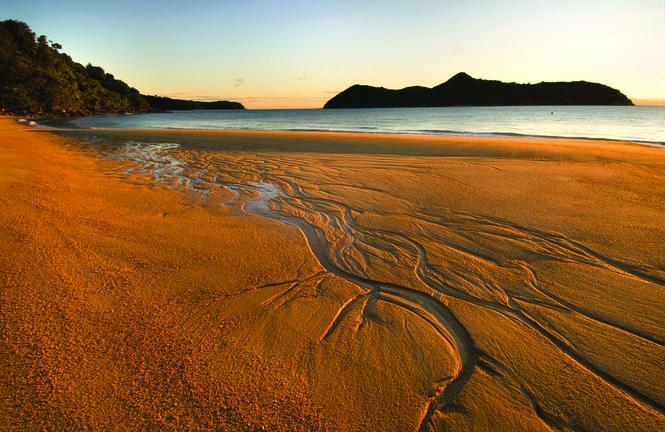 Visit nearby Marahau, then take a short drive from Motueka to Kaiteriteri Beach - a favourite holiday with a beautiful beach. 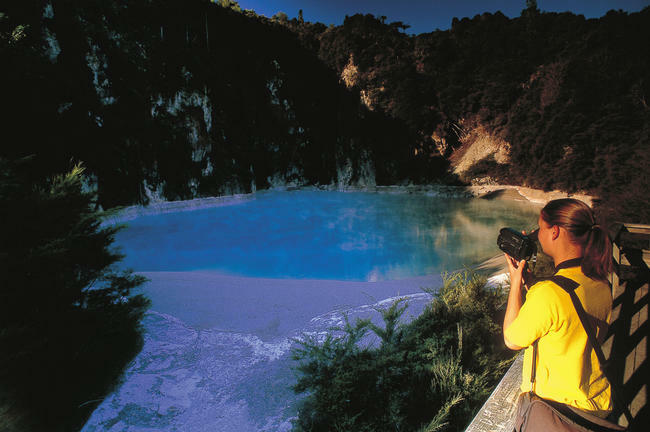 Travel to the heart of the North Island and to some of New Zealand's finest landscapes. The Lake Taupo region is the jewel of New Zealand's volcanic heartland. 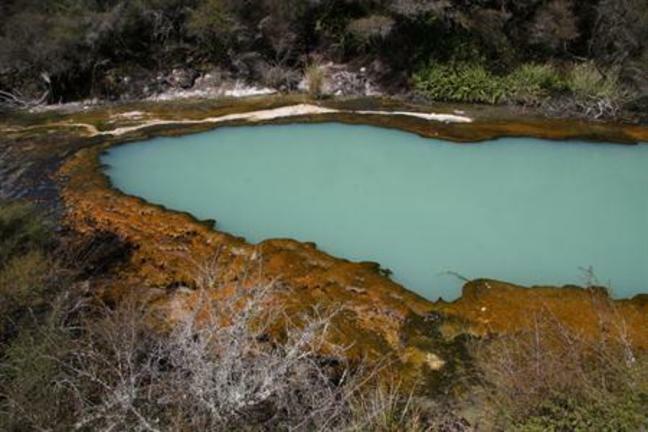 It is an area extremely rich in Maori tradition. 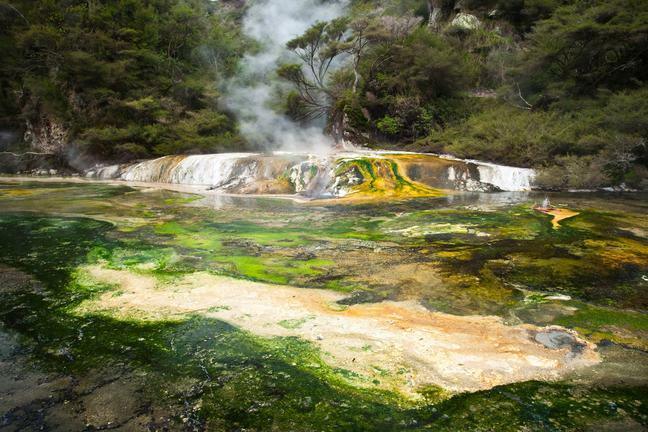 Between Taupo and Rotorua, you'll get a great choice of thermal areas to visit - such as Orakei Korako, Waiotapu and the Waimangu Valley. 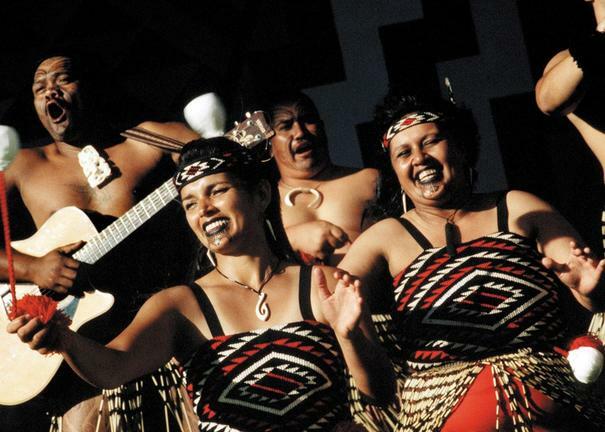 This afternoon, you'll arrive in Rotorua, the very heart of Maori culture. 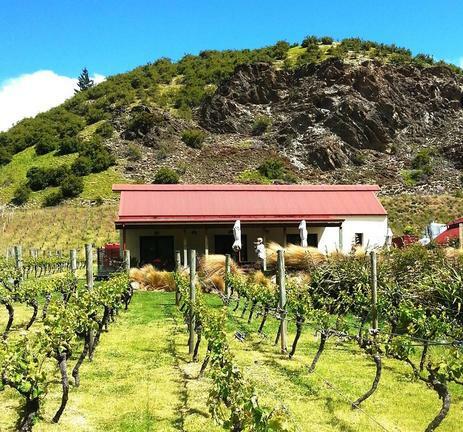 Go mountain biking, join a farm tour or fly by helicopter to an extinct volcano. 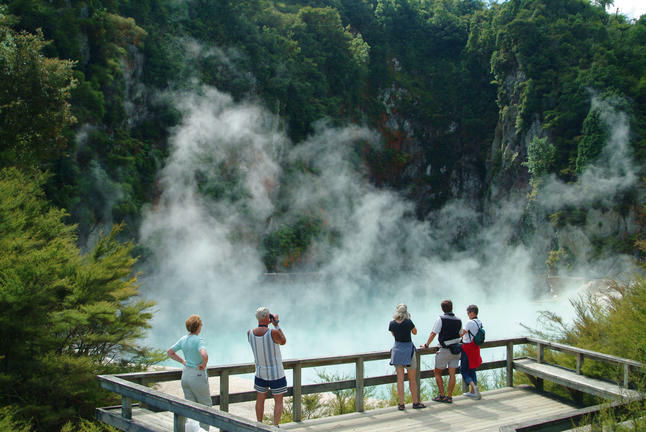 Today will be full of exciting adventures in Rotorua. 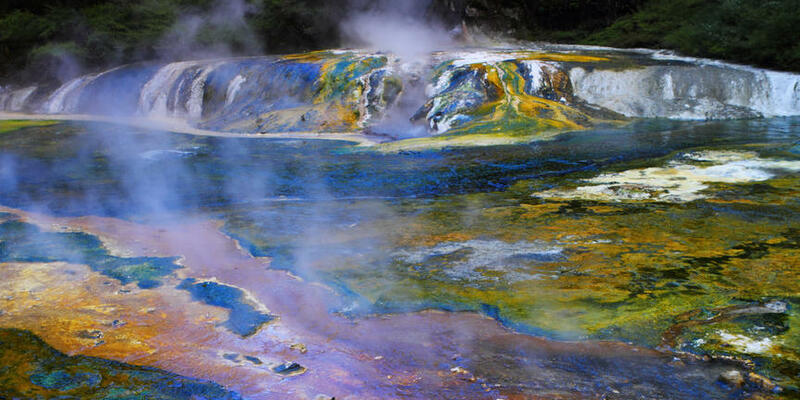 Visit the volcanic areas and hot pools around the town. 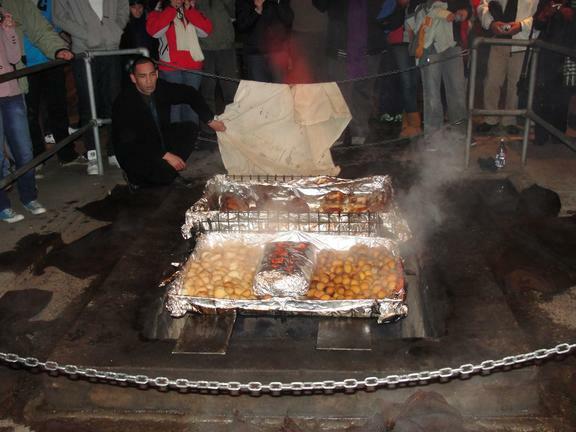 Kick back and enjoy a traditional Hangi concert or a boat trip. 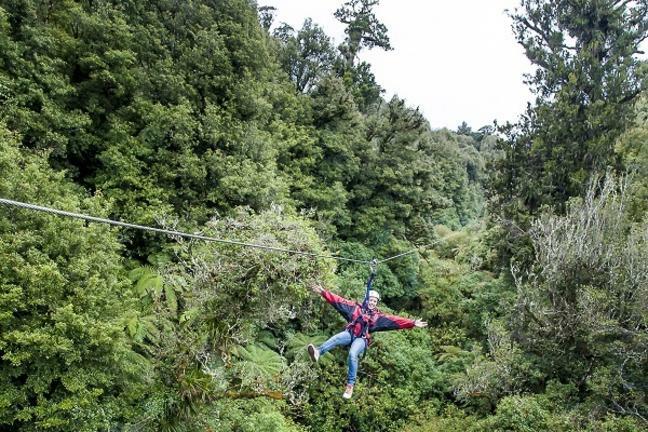 For an adrenaline rush, go Ziplining through the forest. For something more laid-back, go fishing on the lake. 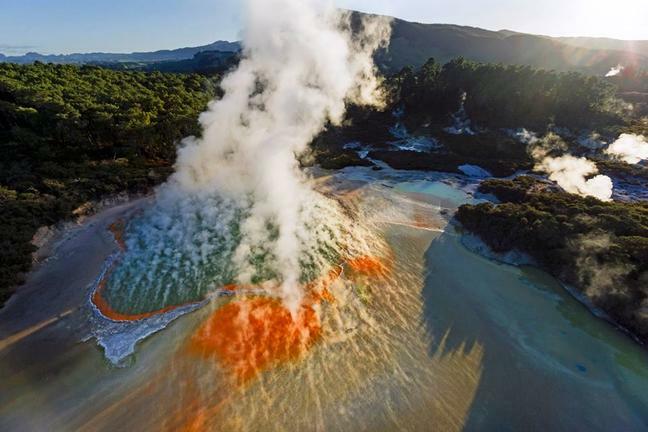 You can start the morning with a scenic flight over the Rotorua and Tarawera. 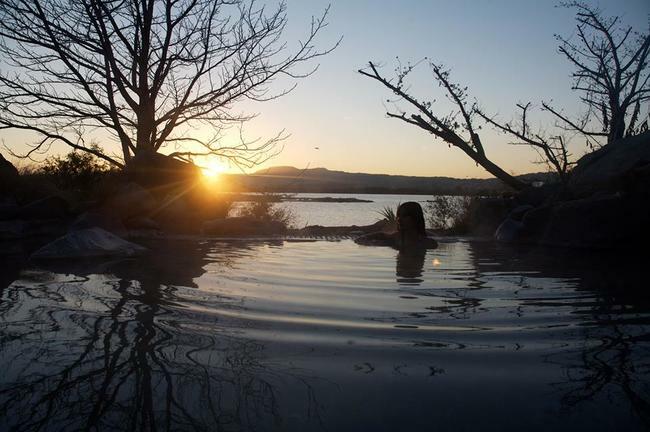 For some of the afternoon, take a soak in one of nature’s hot springs. 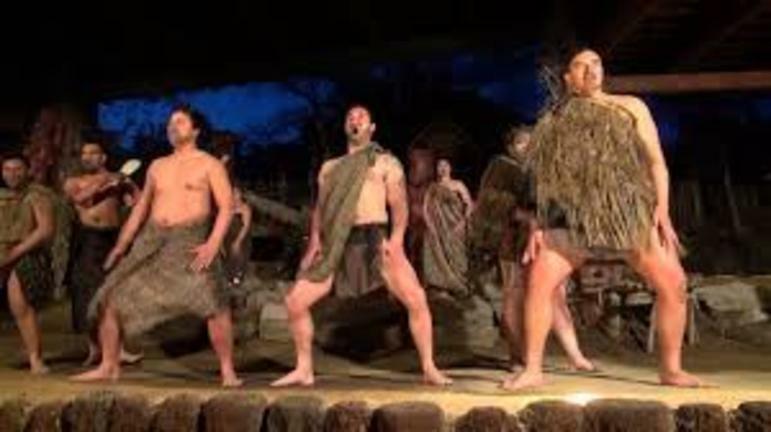 A trip to a original Maori Village (Ohinemutu) and an evening Hangi concert with dinner is included in your itinerary. Depending on your flight departure, you still have some time in the morning to relax. Auckland is only a good 3-hour drive away. You can extend your stay to another location. 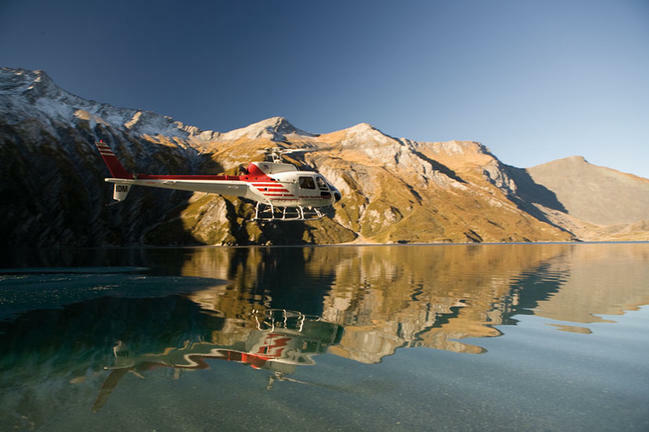 Important for you to know: every part of this itinerary can be amended to your personal requirements. We can add, delete or amend. Contact us and it will be done!